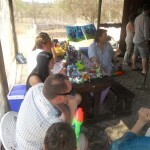 Home > Archive for category "River Raiders"
Go to Affordable Party Page-NOW! 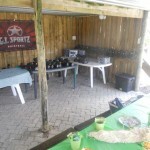 Want a Party with Action this Summer? 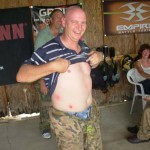 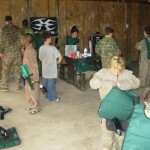 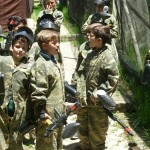 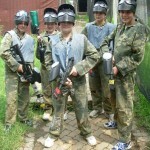 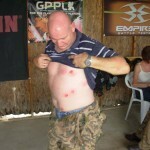 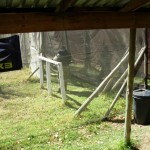 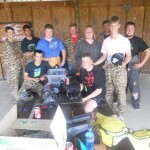 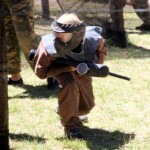 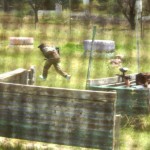 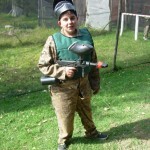 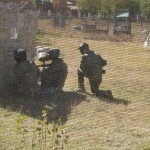 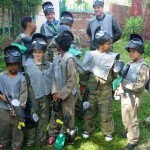 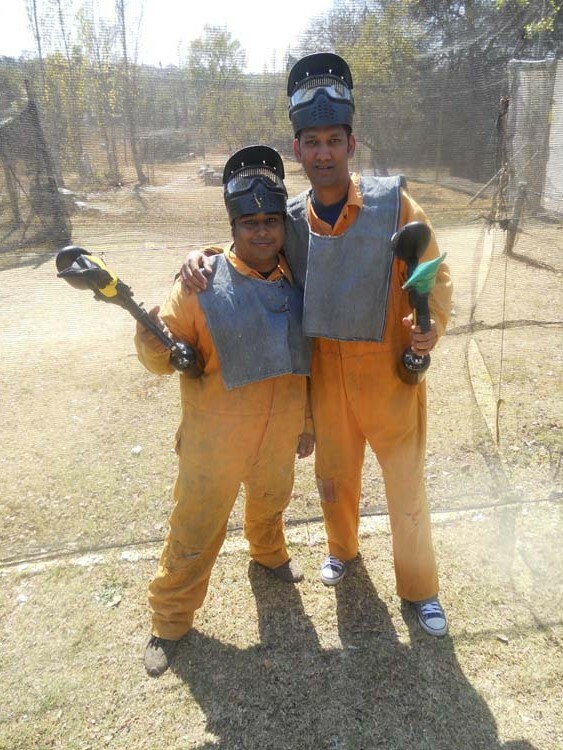 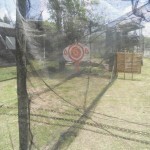 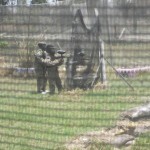 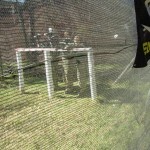 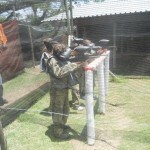 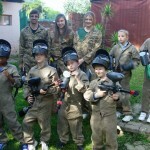 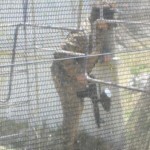 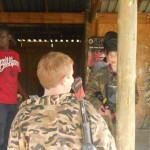 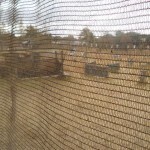 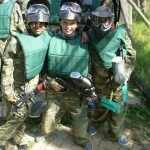 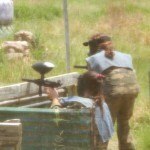 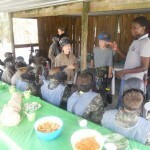 Hey Summer is here soon so why not Book Paintball Today! 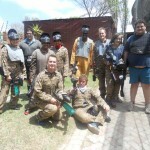 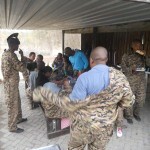 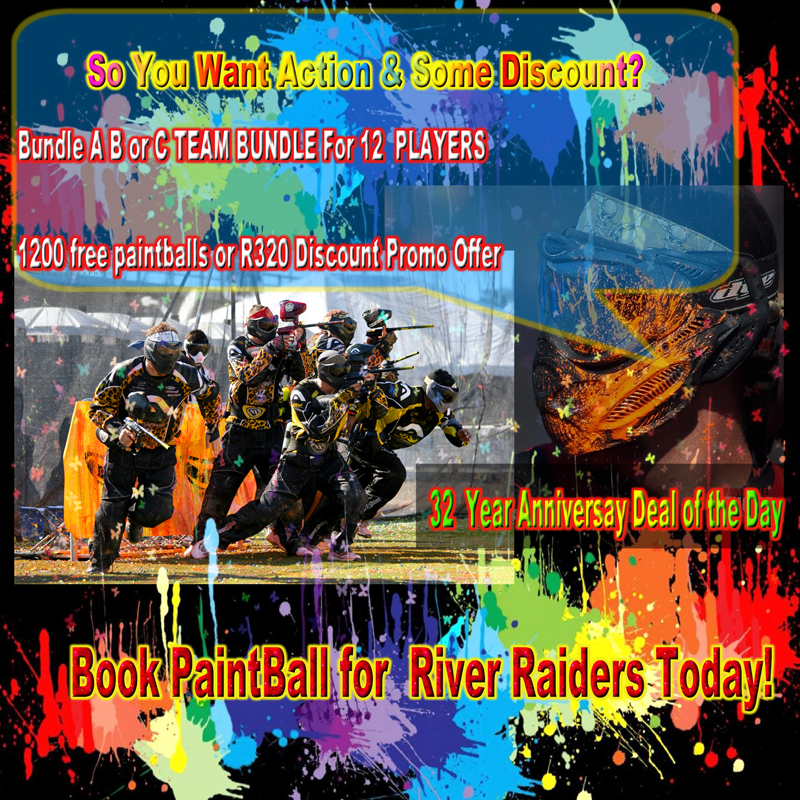 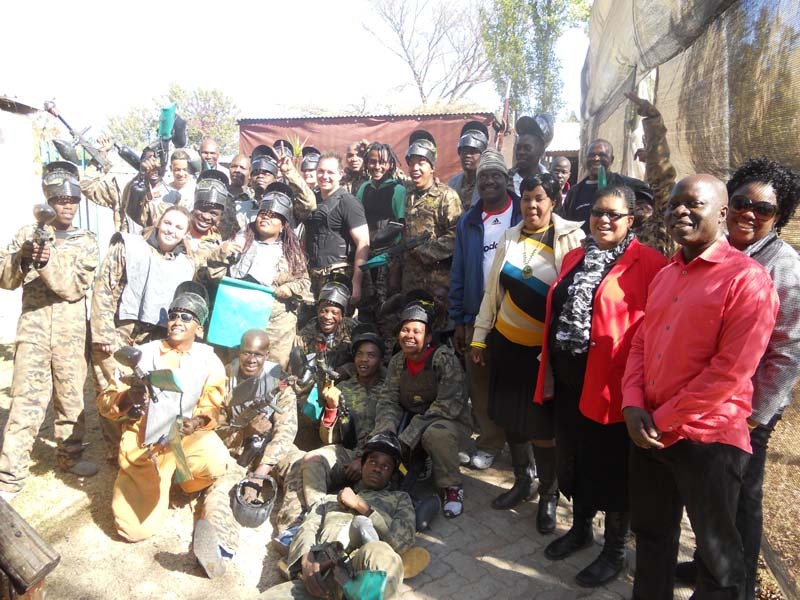 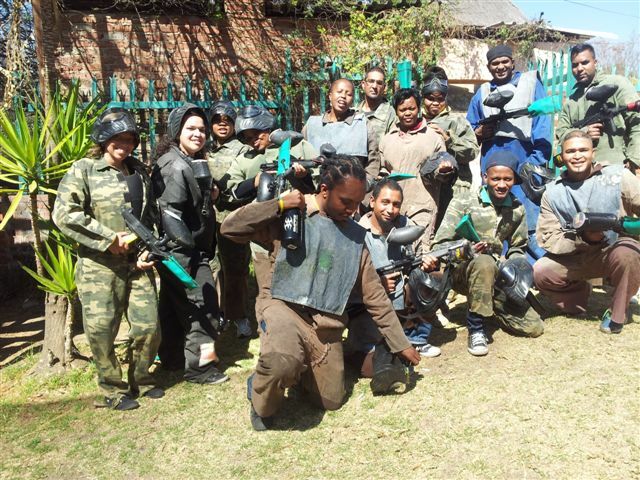 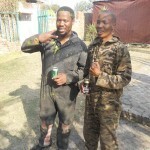 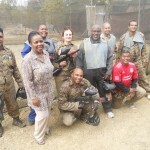 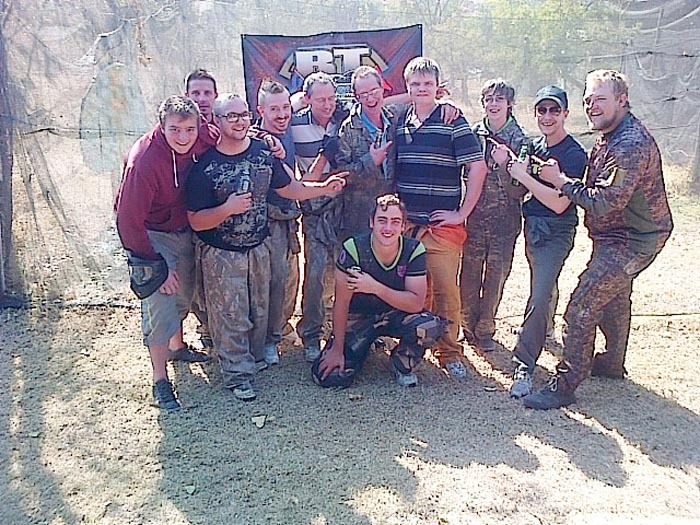 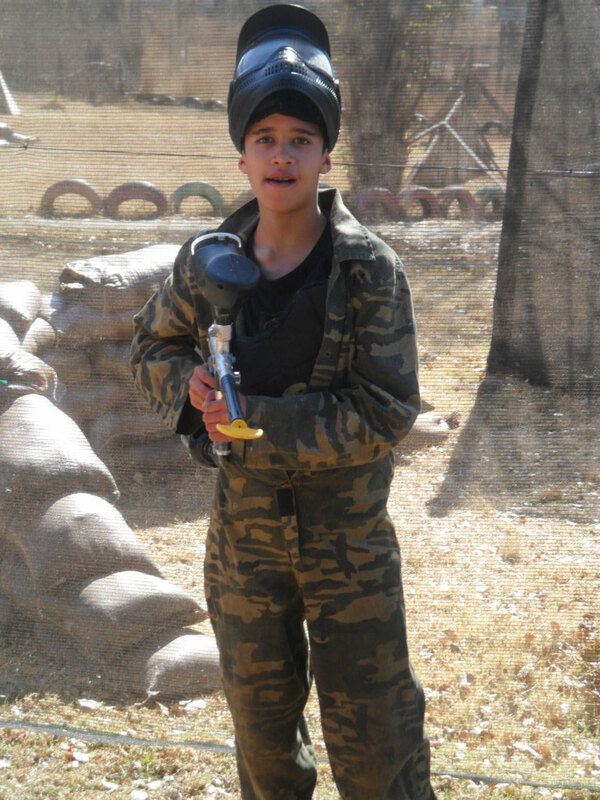 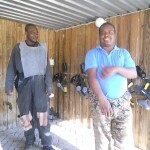 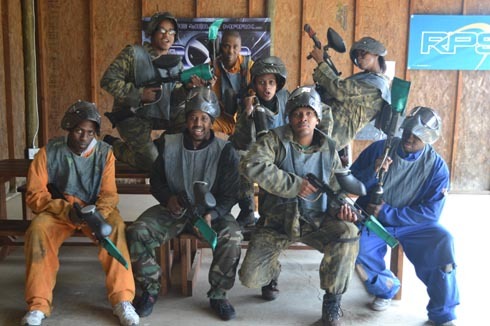 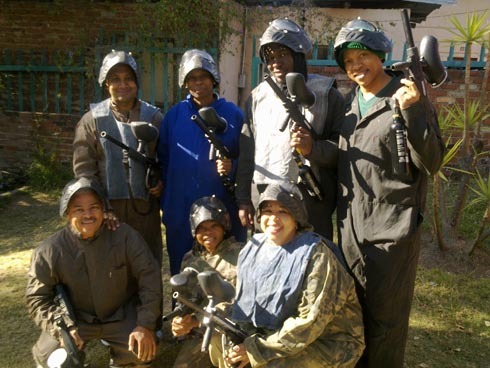 Call or whatapp Rol 076 719 4616 and lets have a Ball click the YouTube Link Below …See our Bachelors Kids Party events and Bookpaintball today! 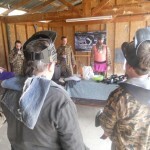 Geeletsgo.com is going Places and River Raiders and Book Paintball the Party The party arm of River Raiders hope you enjoy the ride! 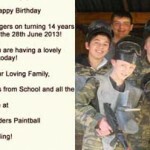 From us all at River Raiders we say “Go Well with” with Musical notes and to Mom Sam and and Dad Brad thanks so much for choosing River Raiders Paintball. 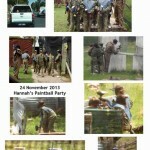 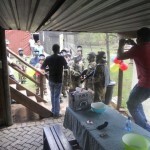 So you just want to do Paintball and Party or not? 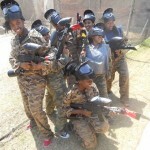 The girls had a great time and are actually bragging about their bruises! 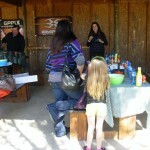 Dear Rol Thanks for a great event yesterday. 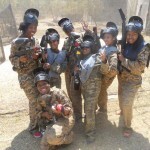 The girls had a great time and are actually bragging about their bruises! 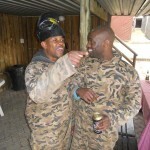 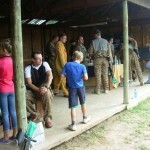 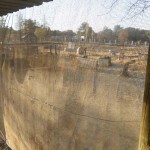 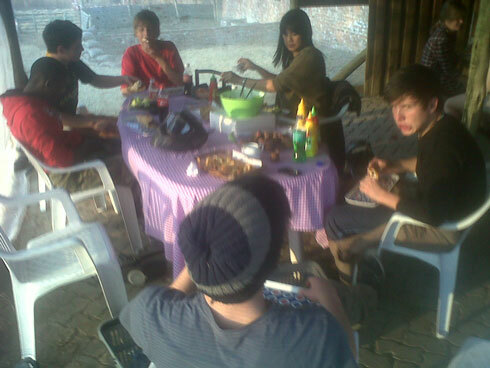 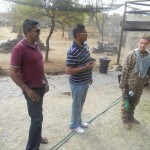 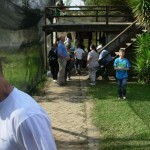 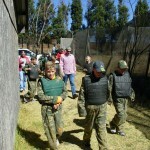 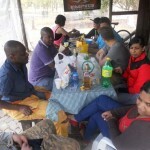 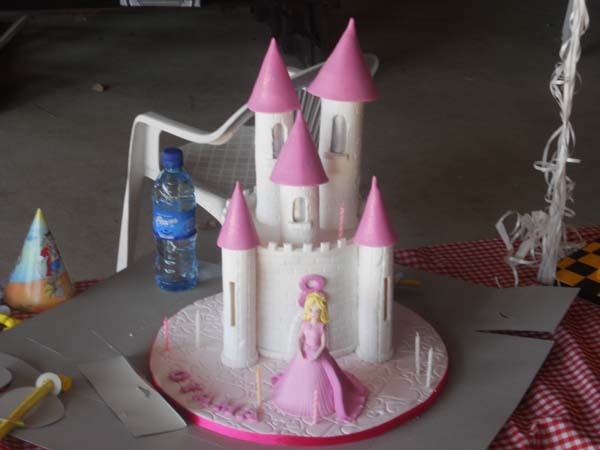 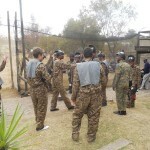 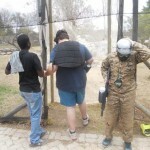 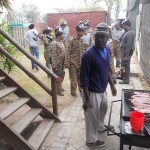 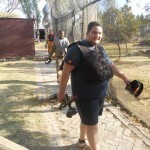 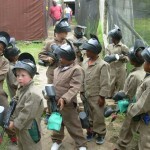 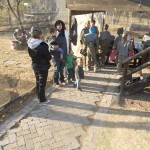 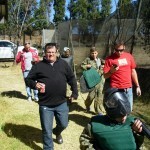 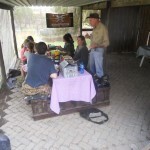 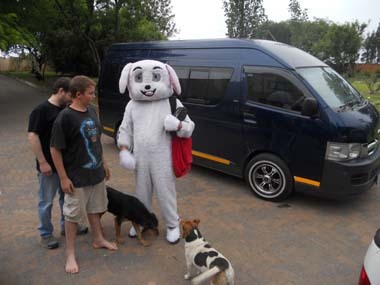 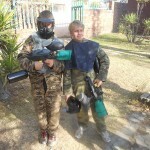 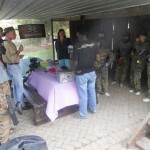 Don’t be Just a walk in be wise and book your party in early and to disspell all myths we do allow own catering provided we do the work for example ” you are Halaal or prefer certain cuts of meat “U BRING WE BRAAI IT FOR YOU” if you like, but you know your session to play paintball only lasts for 3 hours, and really standing and braaing is a risk burning the meat etc., and so we charge a nominal amount for charcoal and our labour costs to Braai “Coming soon Bundle C plus” Called a C plus Braai DIY our way and away from the Kids and paintballs but your own meat hows that estimated cost is R20 PER person covers charcoal and our staff to braai your food on the day. 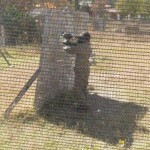 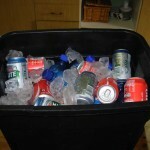 Hey give us some business the Coldrinks and the Beers? 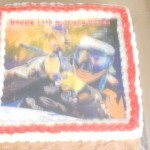 How’s That? 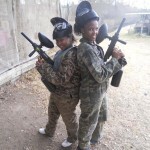 Who said Ladies alone can’t play? 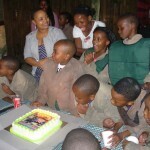 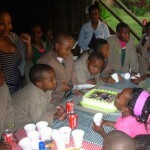 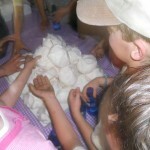 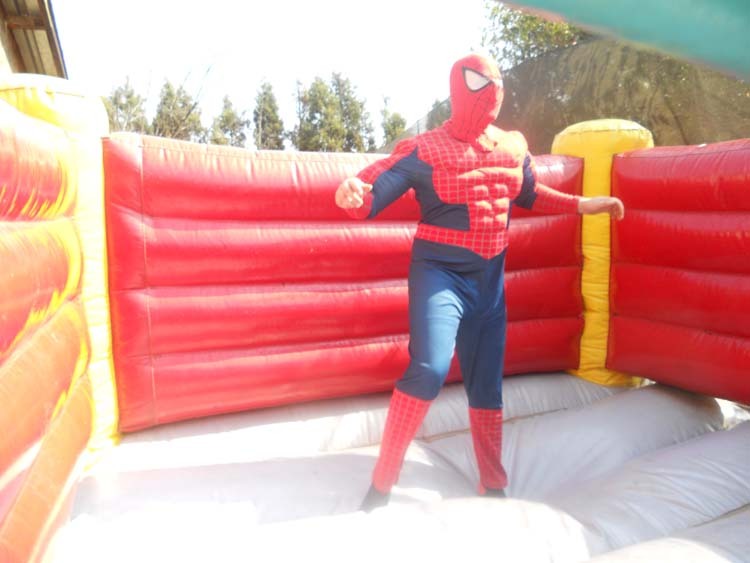 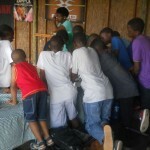 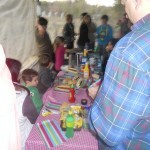 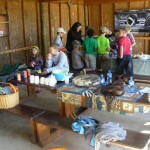 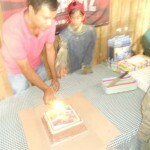 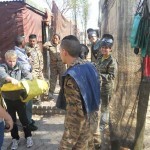 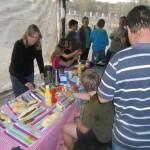 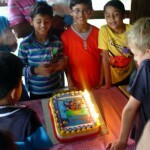 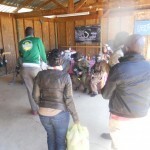 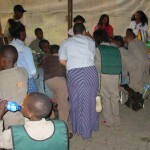 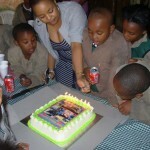 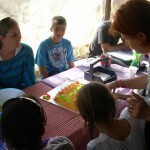 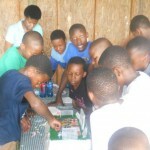 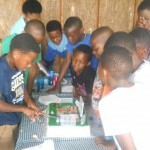 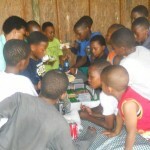 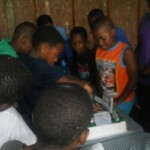 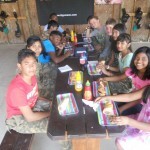 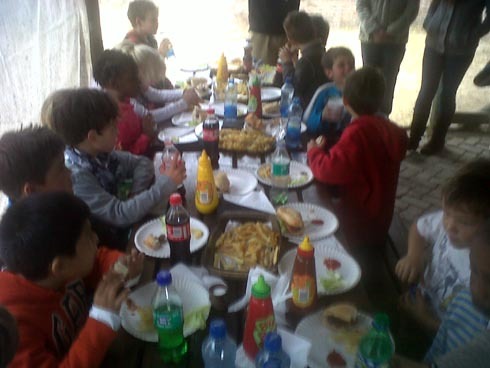 Thank you so much, the kids had a really good time and enjoyed it so much. 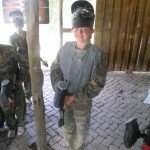 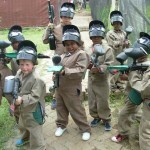 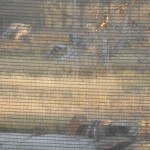 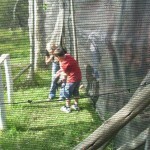 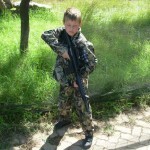 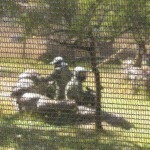 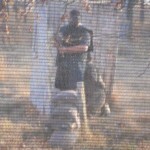 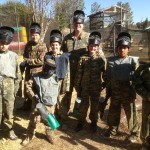 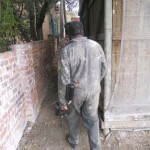 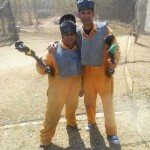 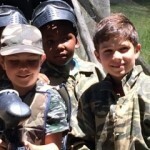 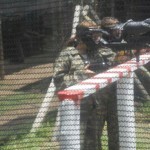 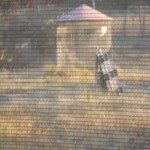 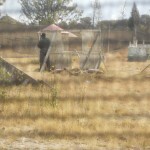 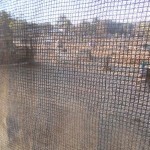 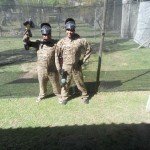 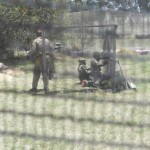 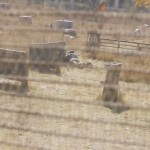 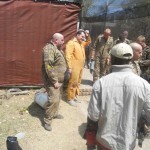 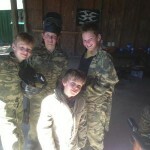 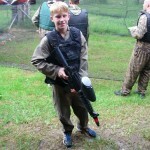 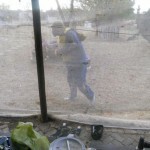 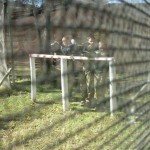 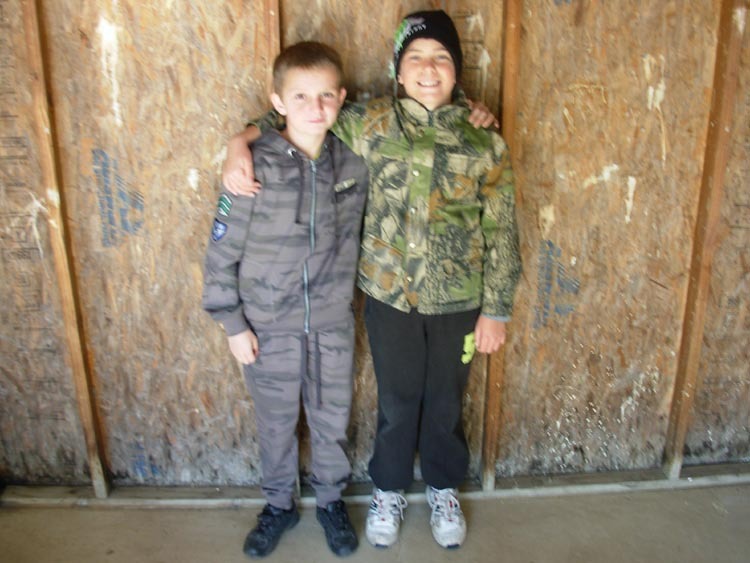 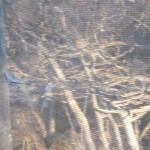 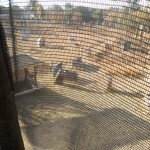 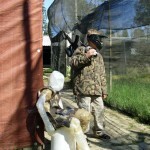 I see all the cell phone status photo’s are paintball! 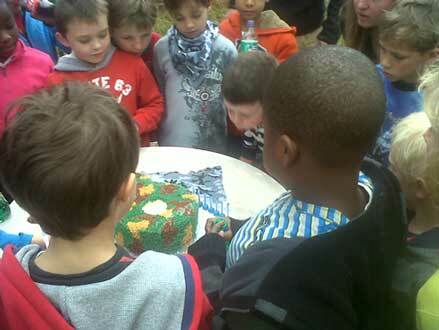 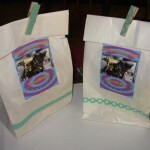 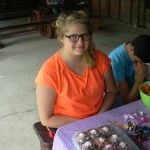 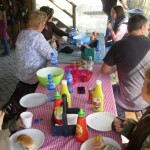 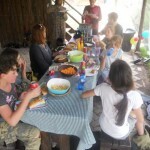 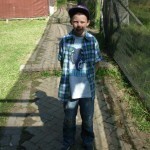 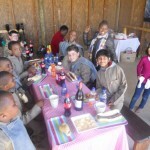 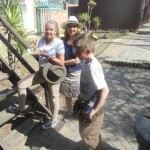 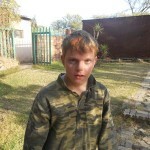 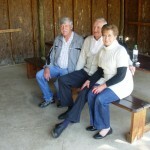 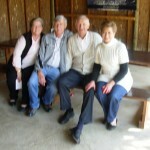 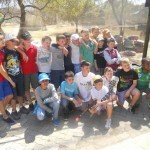 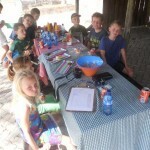 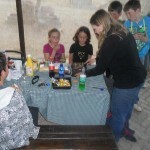 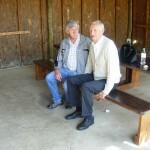 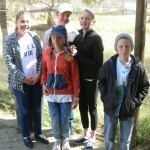 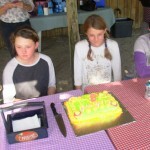 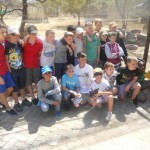 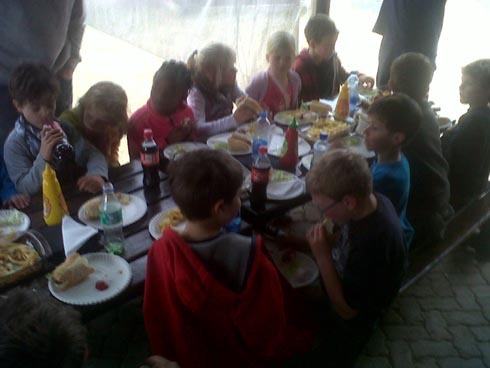 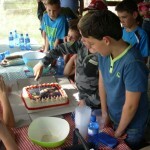 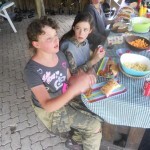 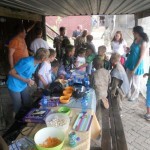 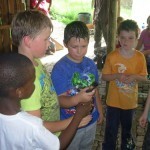 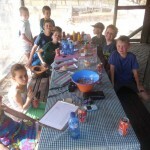 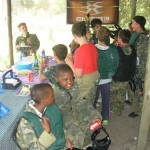 We were looked after well and I was very happy that they all had so much fun. 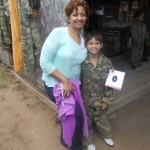 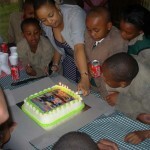 Thank you so much, I am sure you will be seeing more Aurora children soon. 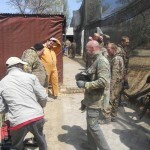 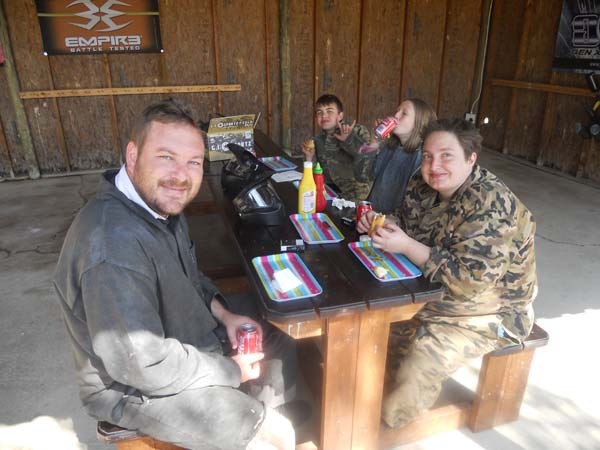 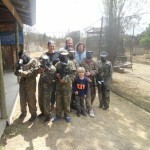 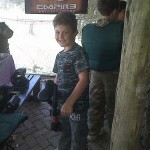 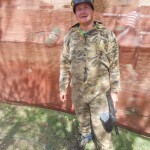 Last Saturday was a Blast from the Past as an old friend suddenly pitched up to play paintball thanks Rob Barenbrug and family for making my day. 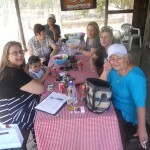 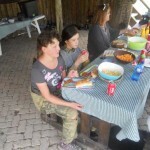 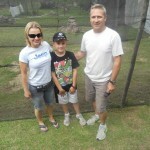 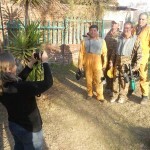 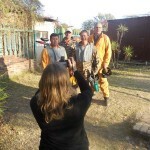 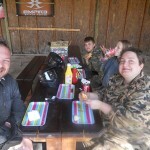 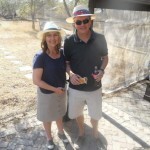 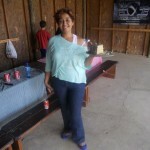 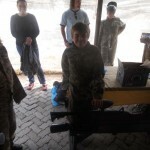 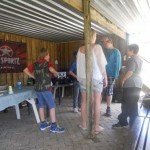 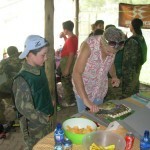 and of course Heike as well thanks for having Michael’s Birthday here as well as all our other guests at River Raiders PaintBall Ranges last Saturday was a great Blast. 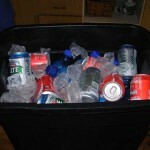 Having a Bachelors and need ideas! 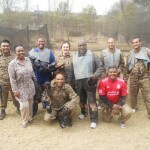 We had some interesting players here last Saturday mainly for Corporate team Events like SAB MILLER , so thanks Sibusiso and friends for your support guys much appreciated. 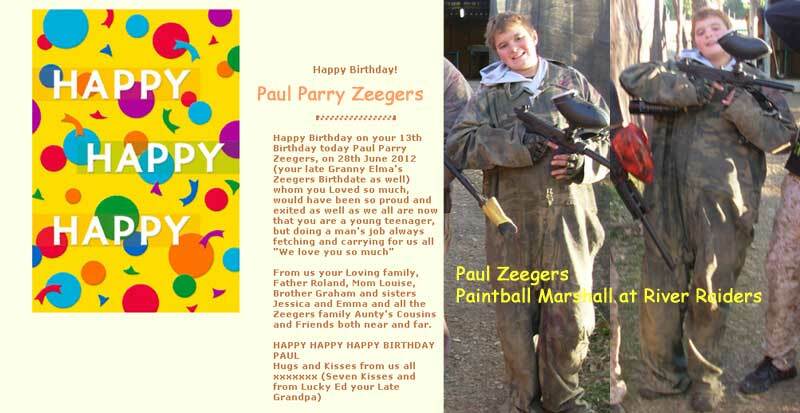 Happy Birthday Paul turns 14 years today! 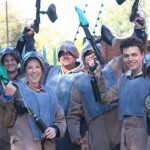 Due to an increase in demand and in confirming bookings, please see if your booking is in Blue or Red text. 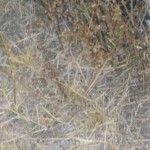 included as shown in the Bundles as advertised. 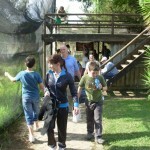 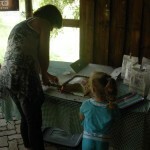 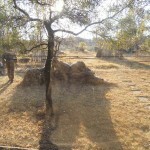 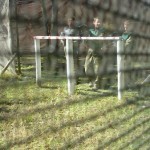 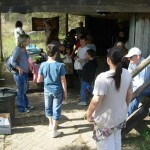 See our latest booking calendar for the 29th June for this coming Saturday as an example. 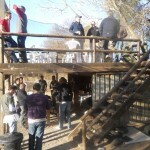 Avoid dissapointment book you event today. 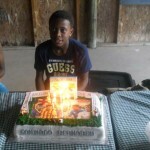 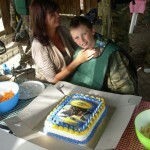 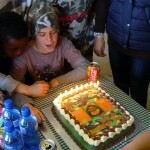 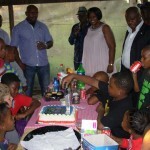 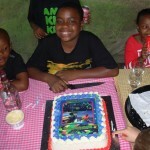 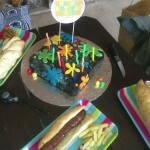 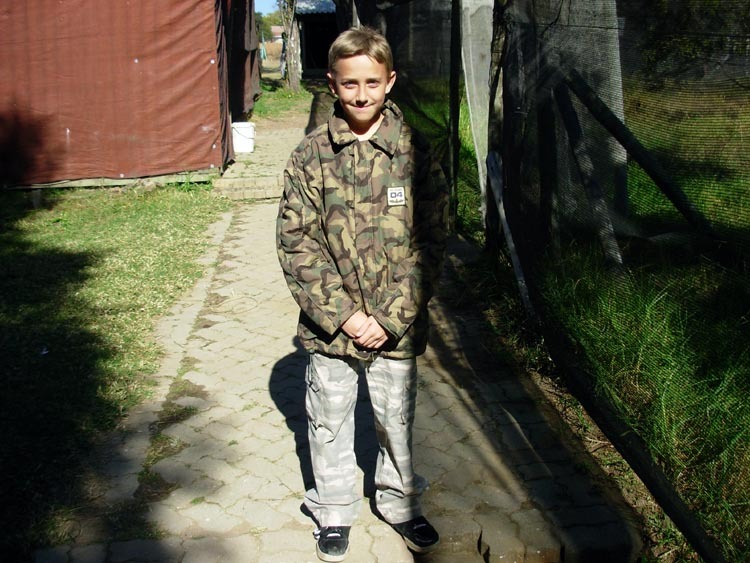 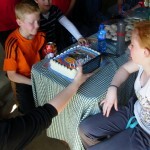 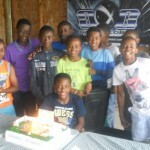 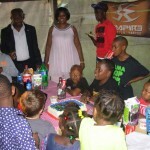 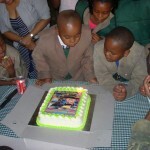 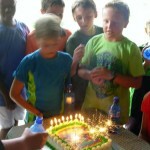 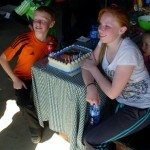 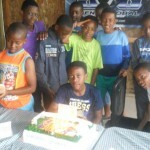 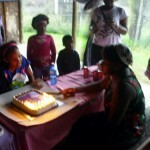 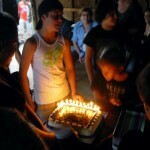 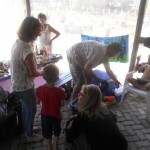 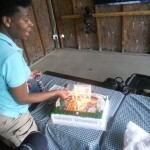 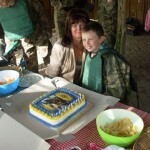 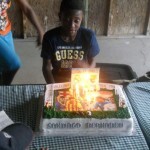 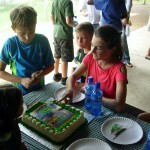 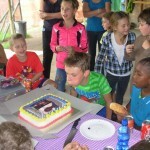 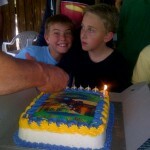 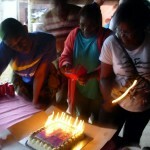 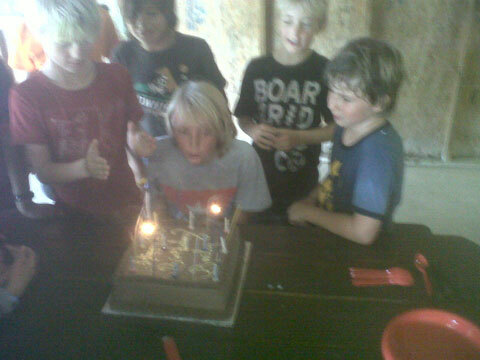 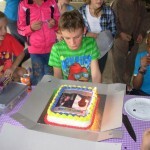 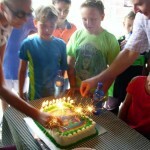 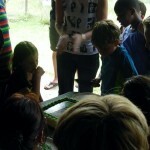 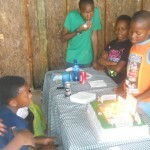 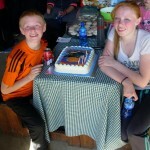 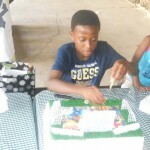 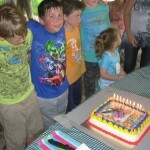 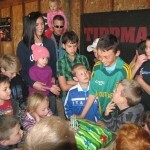 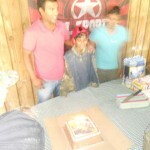 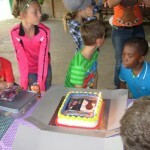 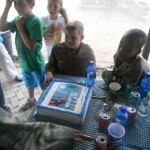 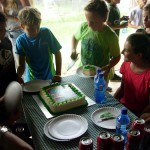 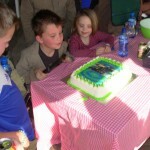 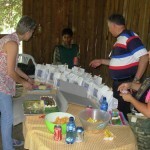 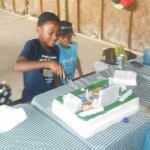 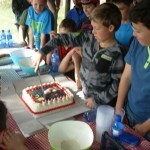 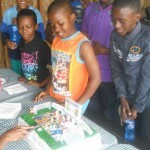 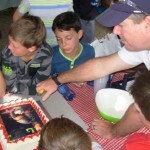 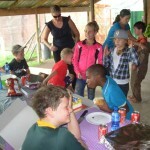 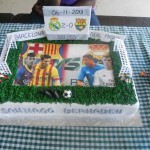 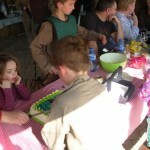 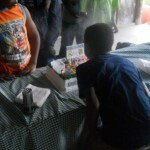 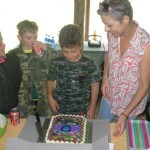 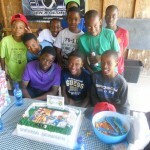 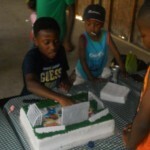 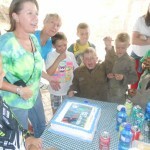 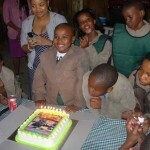 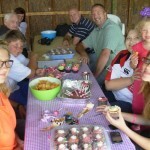 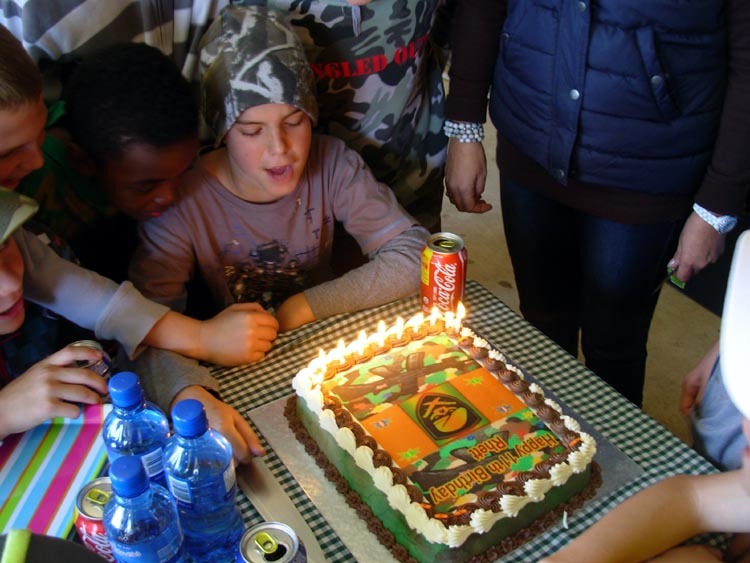 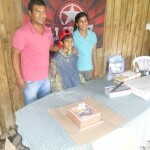 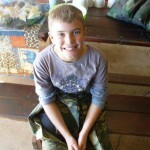 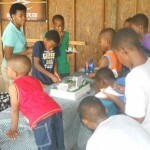 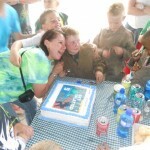 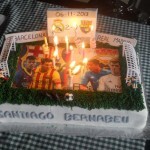 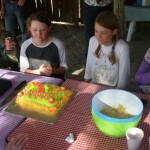 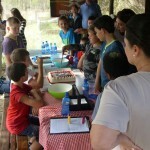 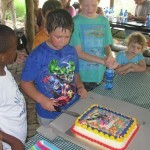 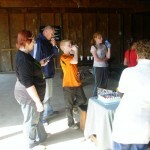 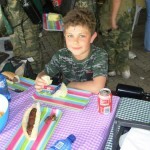 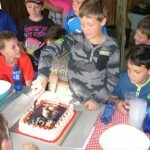 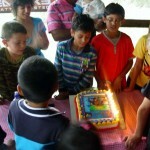 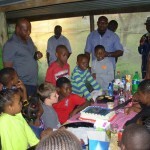 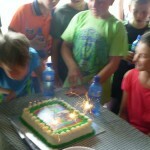 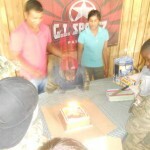 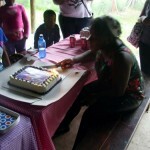 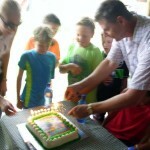 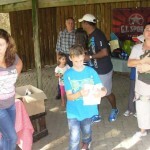 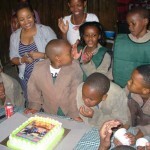 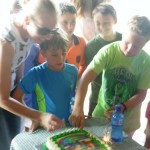 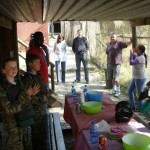 This Past Sunday the 11th saw Bailey and Family celebrating his 11th Birthday here on Sunday. 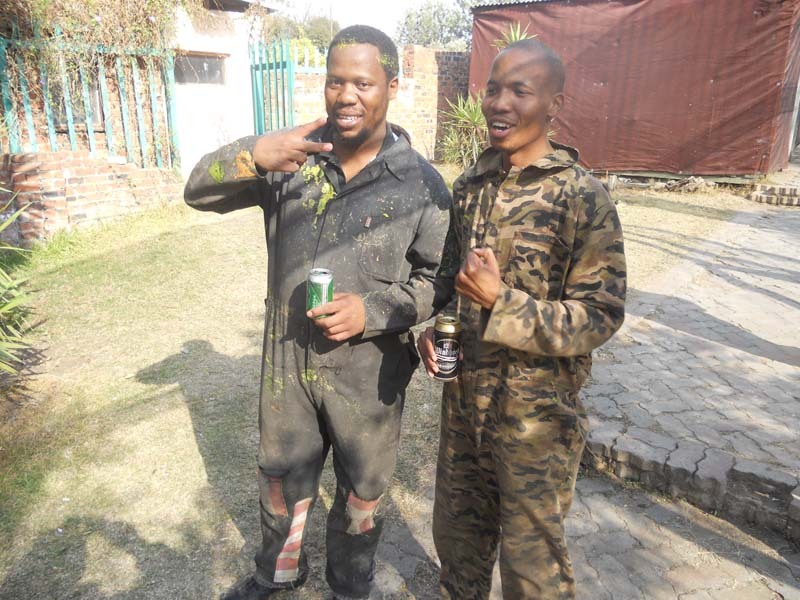 Who said having a Birthday on a Sunday is boring? 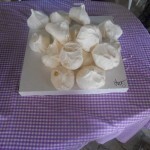 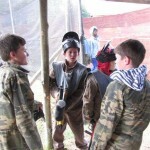 See latest action shots at bottom of page. 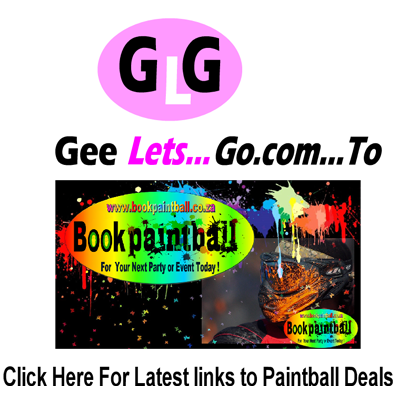 Please see if your party date is booked correctly on the new calendar as well. 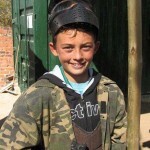 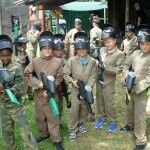 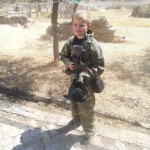 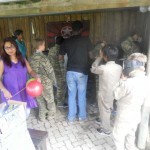 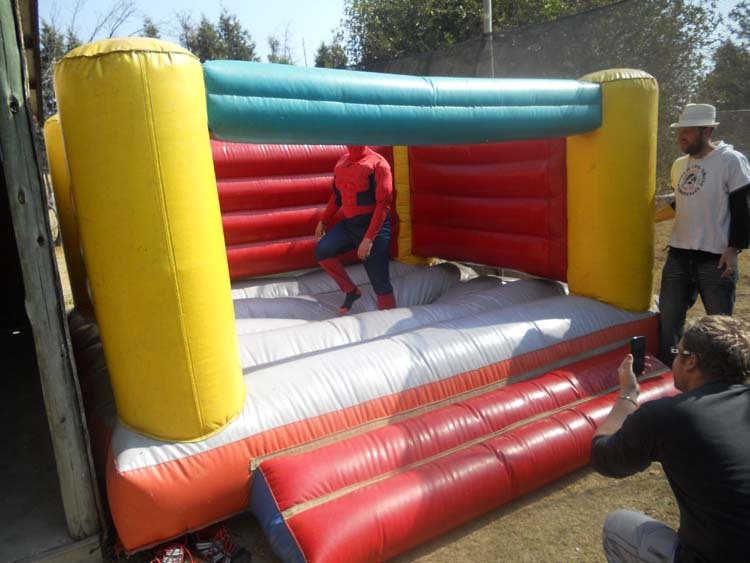 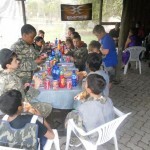 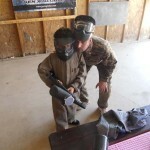 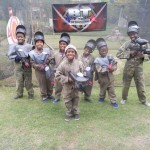 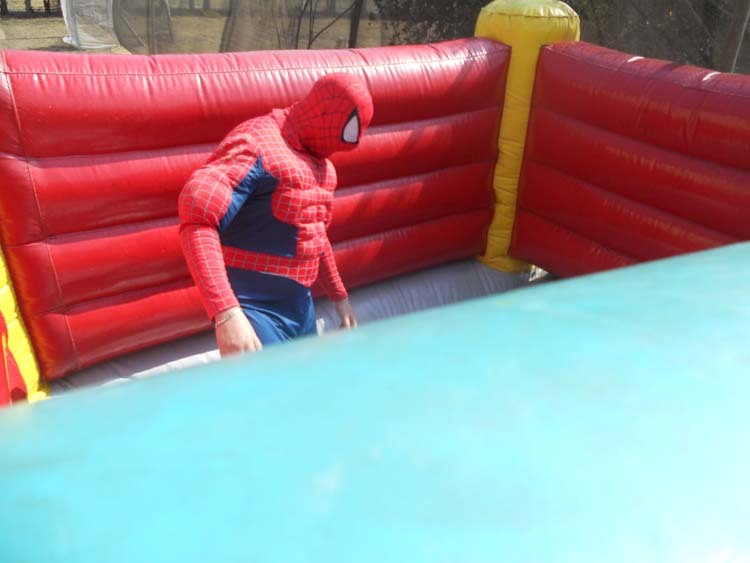 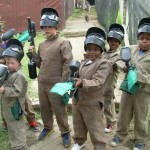 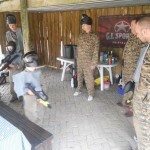 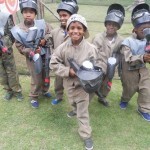 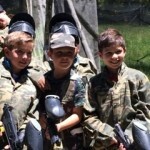 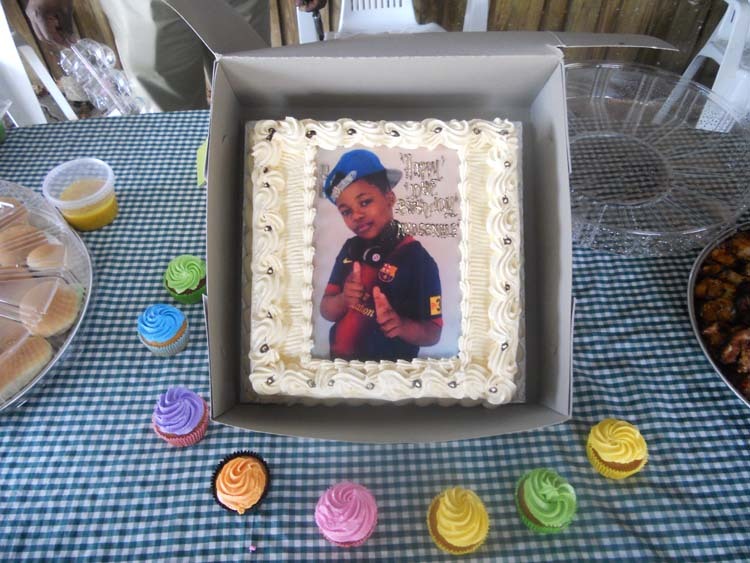 Hello M0ms and Dads please Book your child’s party well in advance as we are becoming extremely popular as a party and paintball venue all roleled into one See HJ’s party pics done by his mum Daleen last month some lovely action Pictures has kindly allowed us to put on the website. 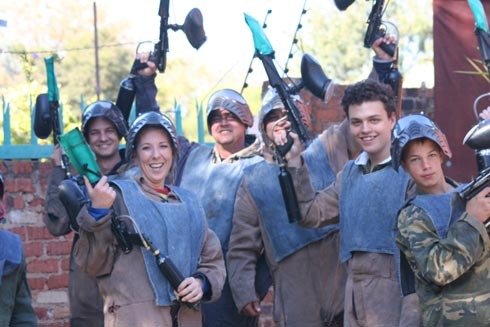 This applies to adult team building Events and please note NO OUTSIDE CATERING IS ALLOWED AT ALL except for snacks like crisps sweets etc. 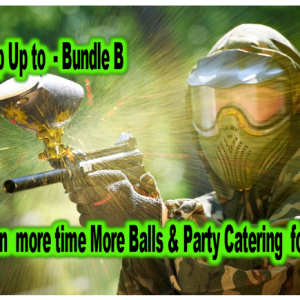 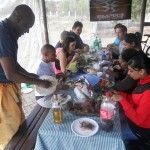 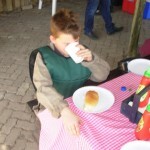 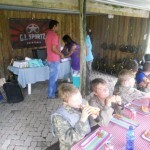 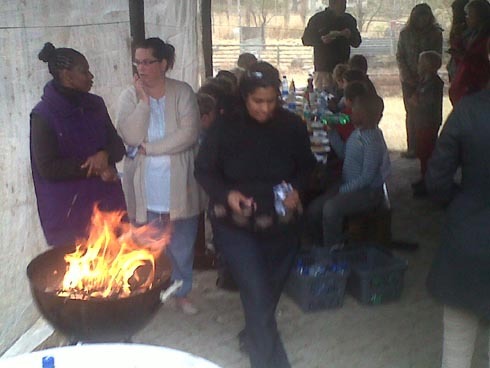 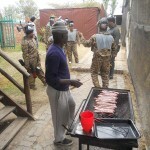 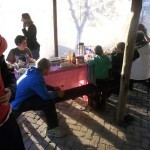 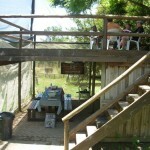 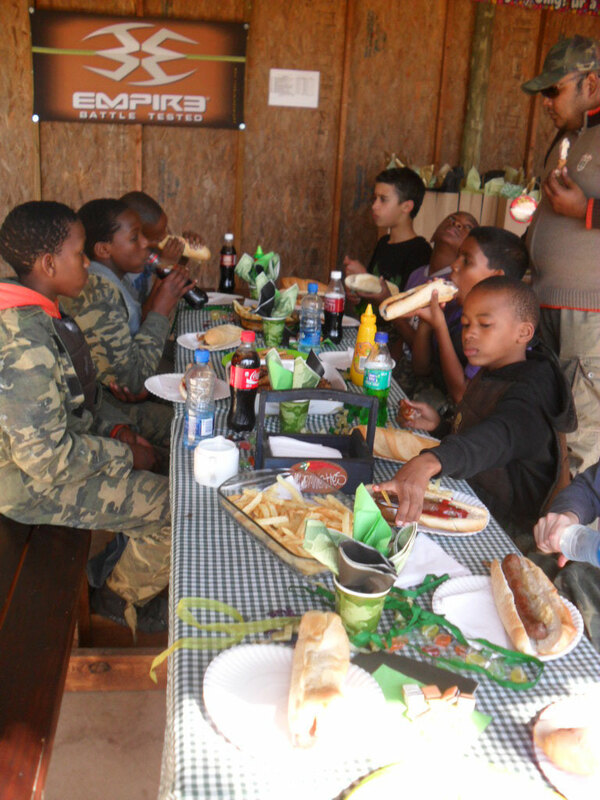 All hot foods and our Braai’s are very reasonably priced with service to suit your paintball game times as example shown here. 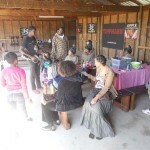 To view our new all in one Event click calendar or please see page title above. 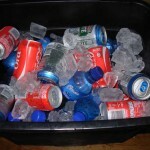 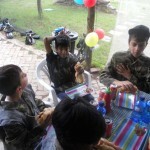 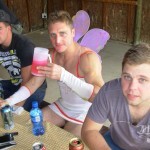 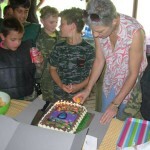 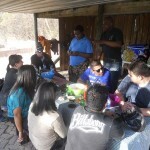 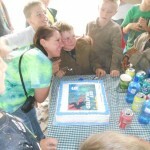 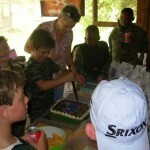 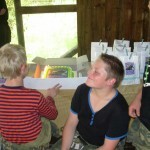 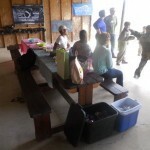 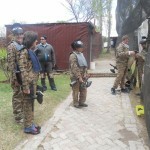 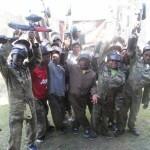 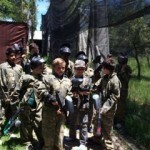 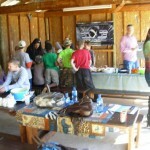 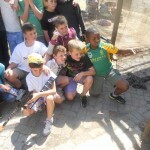 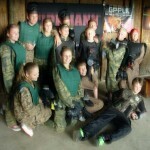 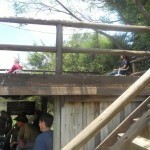 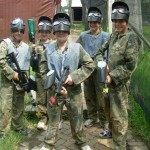 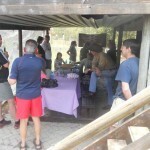 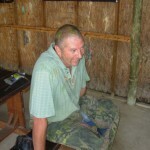 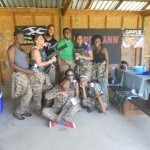 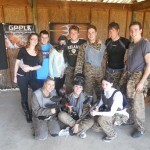 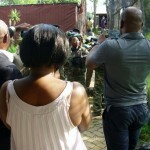 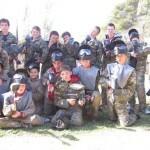 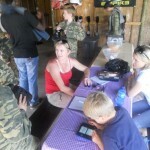 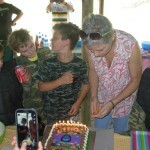 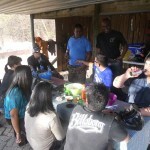 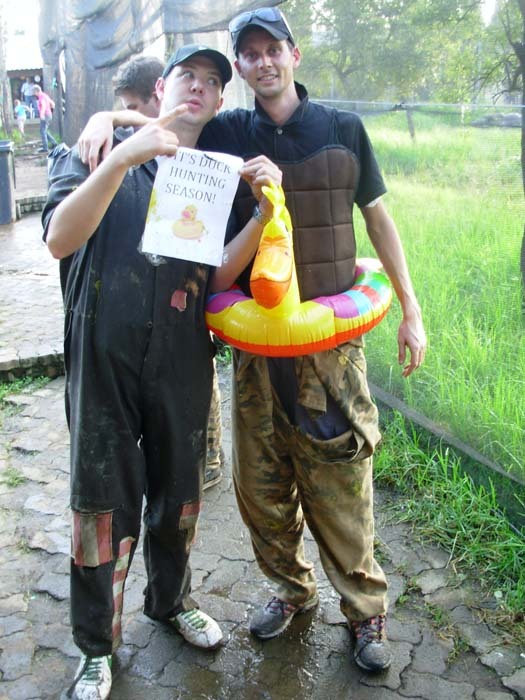 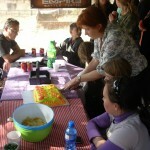 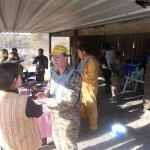 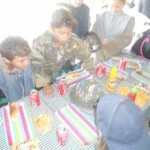 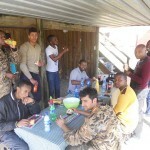 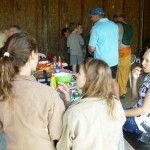 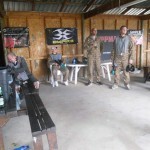 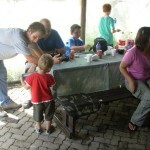 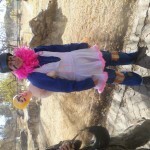 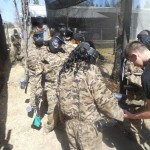 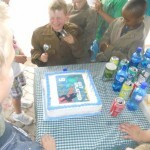 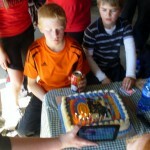 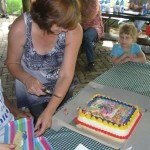 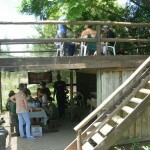 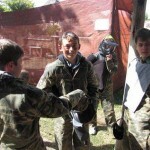 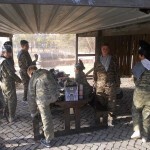 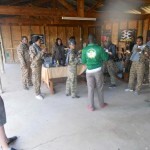 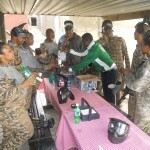 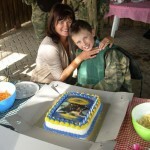 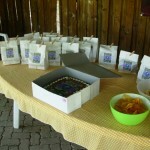 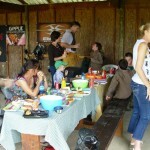 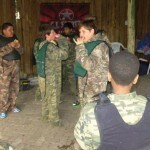 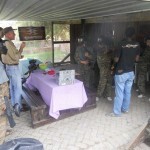 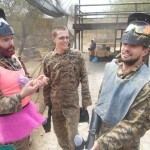 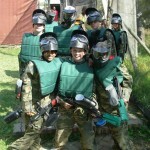 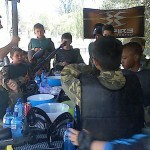 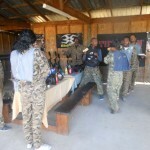 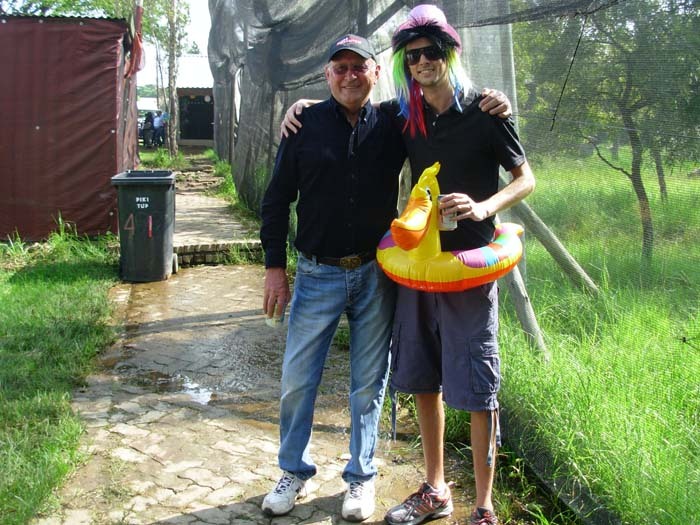 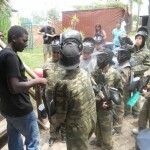 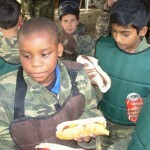 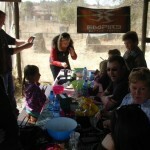 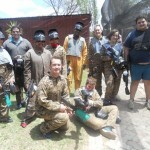 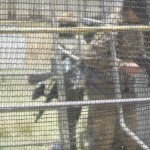 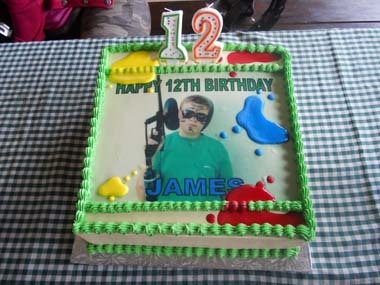 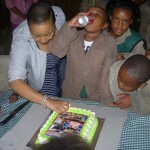 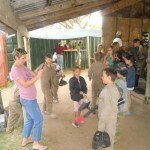 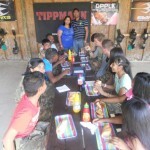 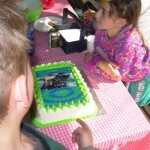 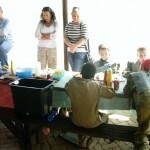 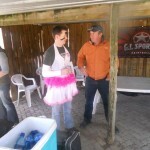 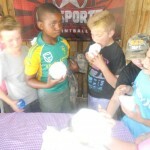 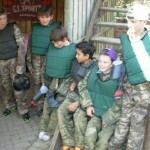 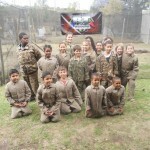 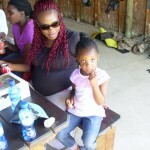 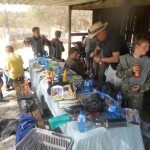 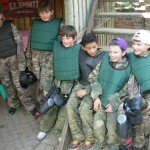 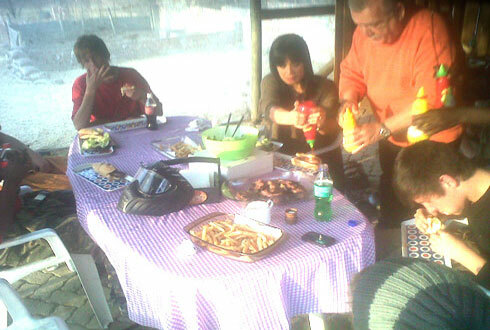 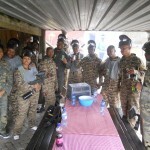 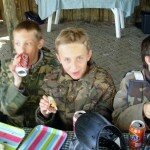 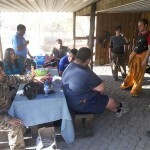 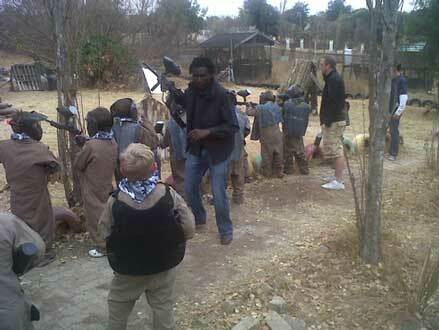 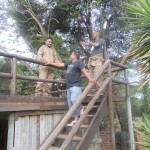 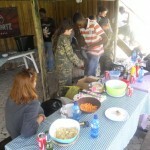 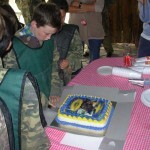 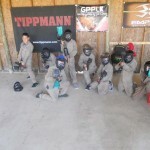 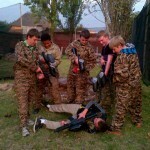 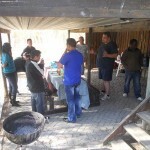 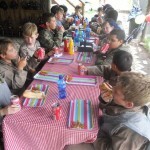 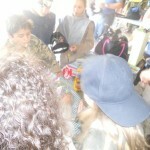 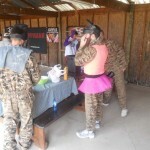 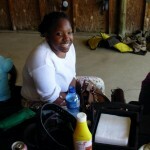 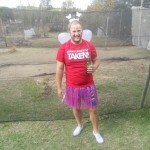 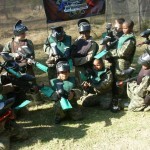 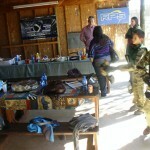 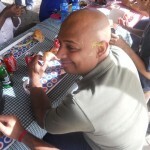 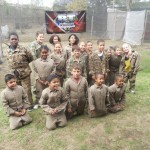 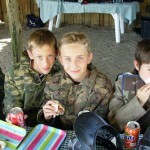 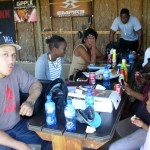 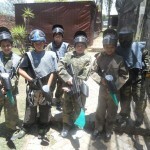 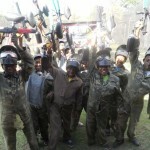 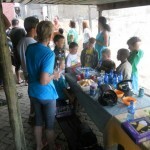 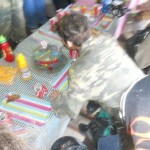 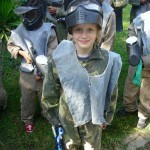 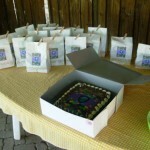 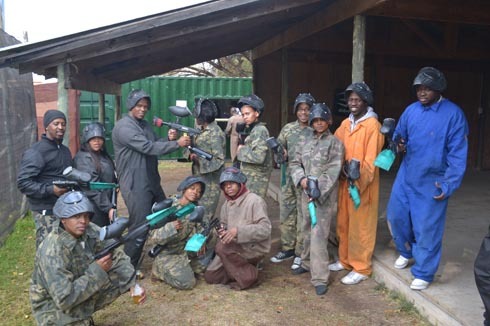 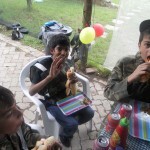 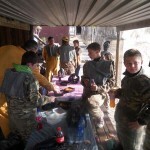 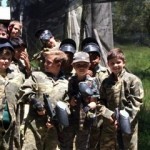 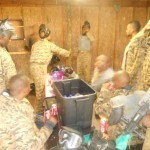 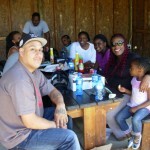 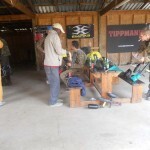 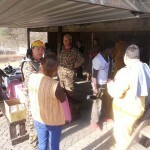 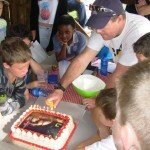 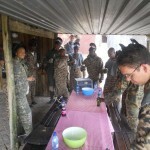 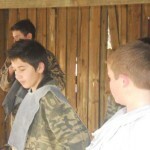 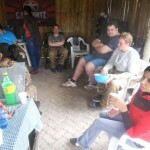 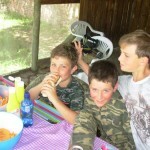 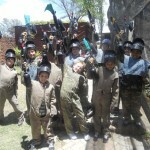 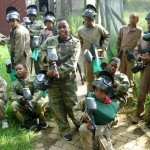 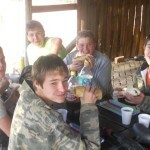 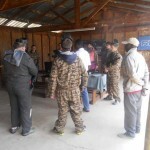 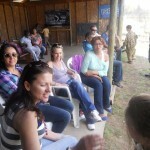 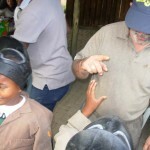 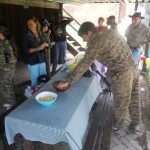 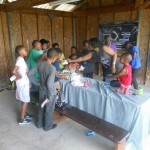 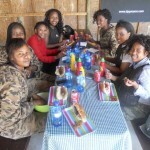 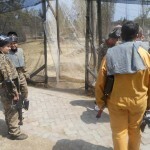 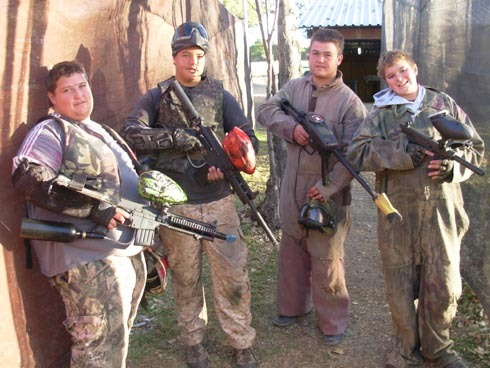 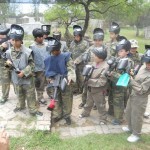 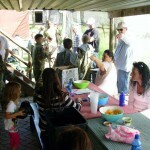 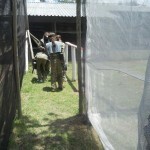 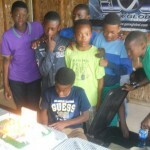 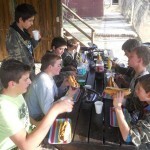 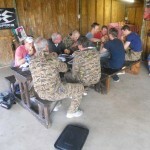 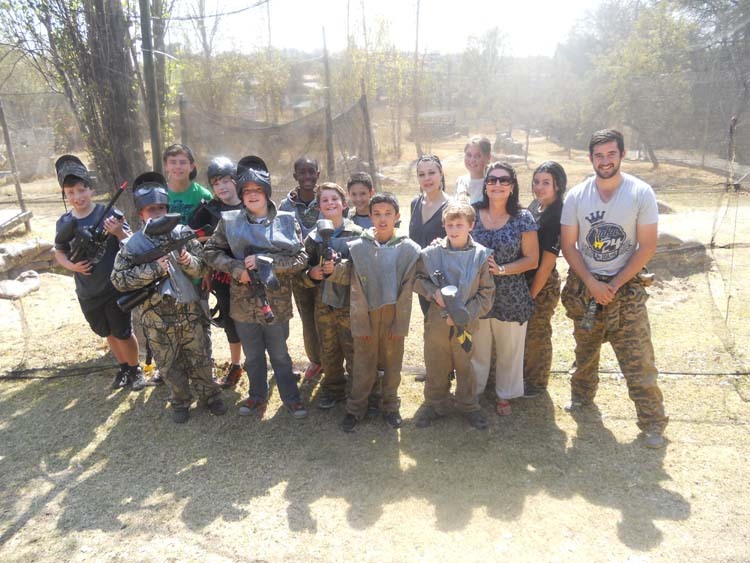 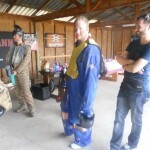 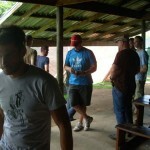 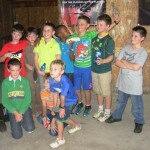 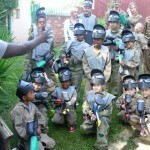 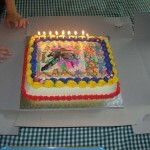 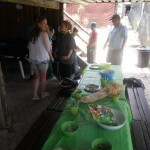 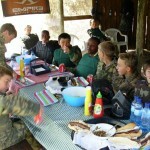 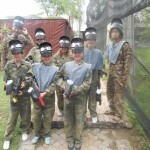 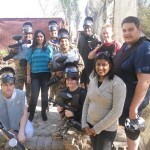 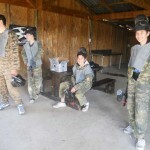 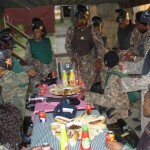 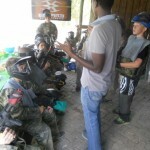 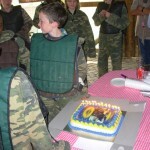 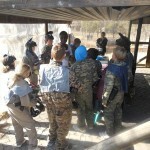 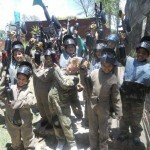 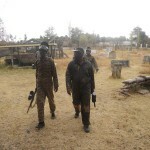 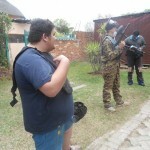 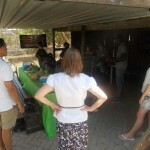 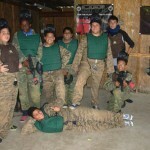 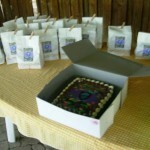 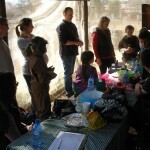 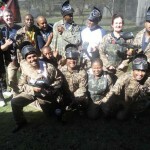 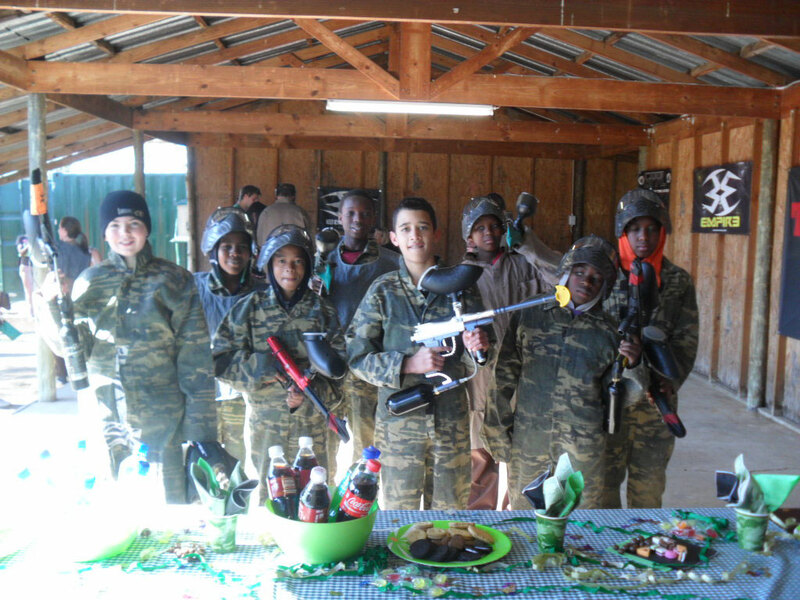 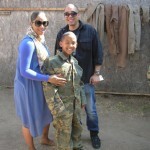 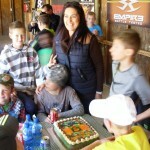 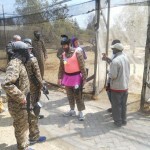 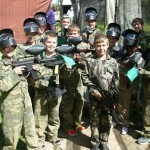 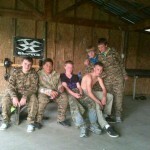 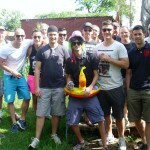 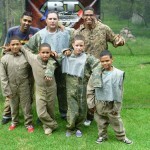 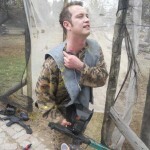 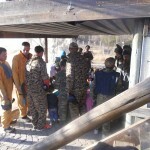 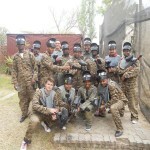 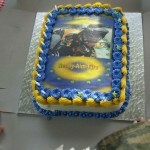 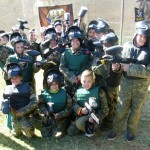 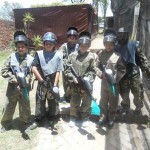 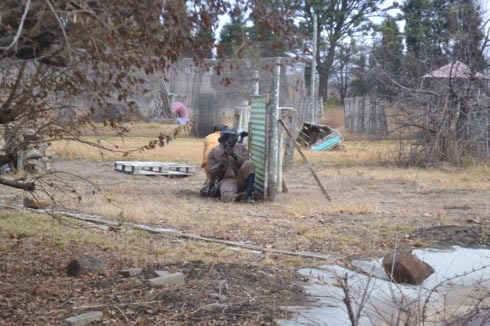 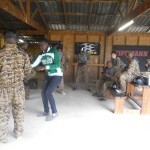 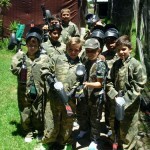 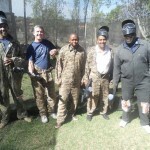 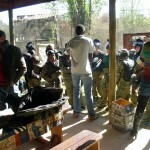 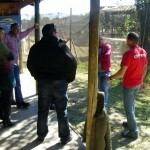 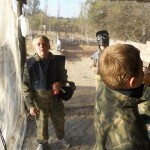 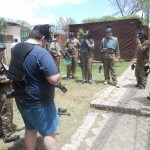 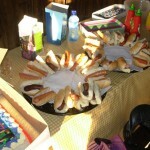 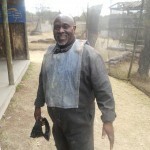 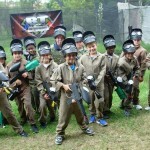 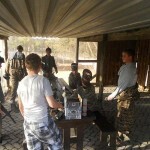 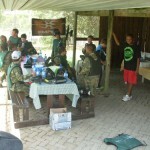 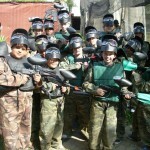 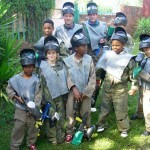 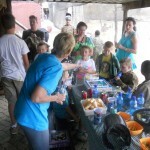 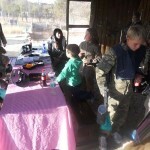 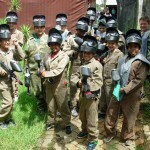 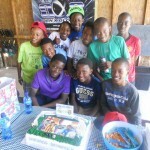 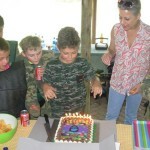 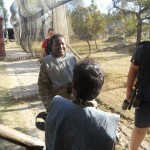 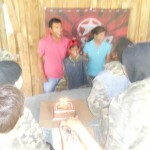 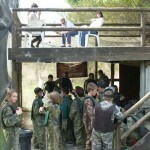 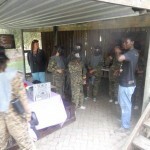 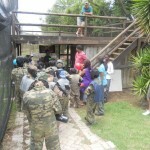 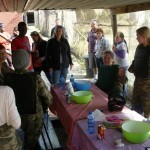 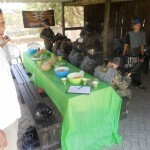 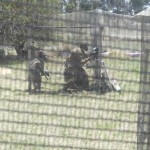 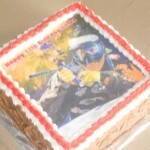 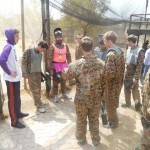 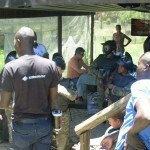 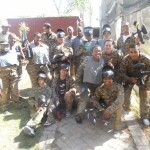 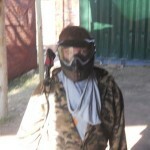 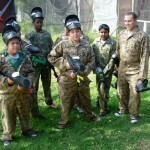 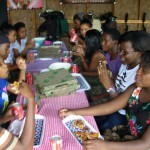 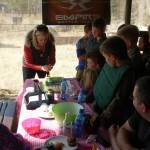 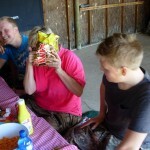 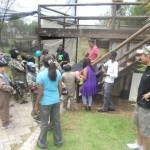 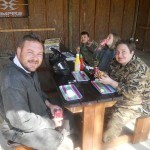 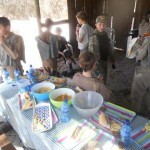 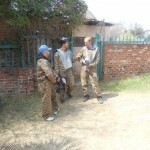 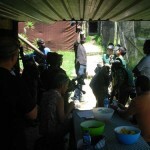 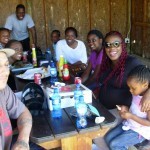 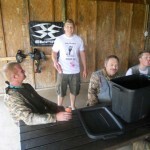 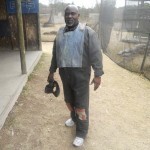 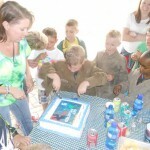 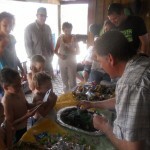 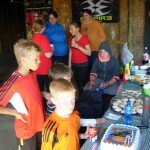 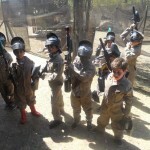 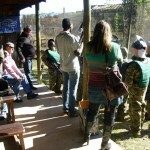 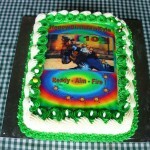 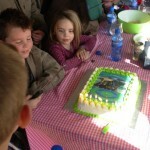 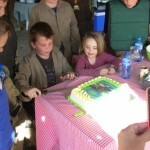 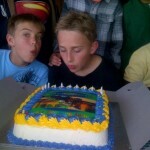 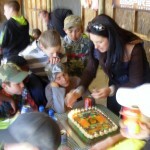 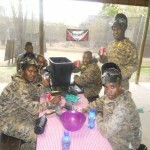 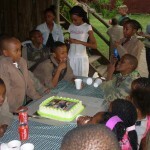 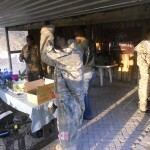 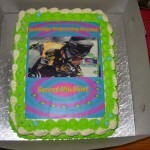 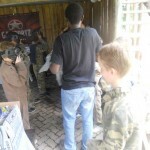 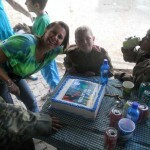 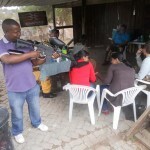 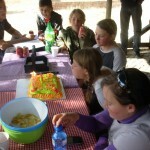 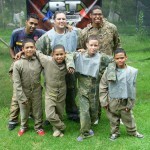 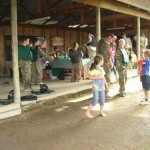 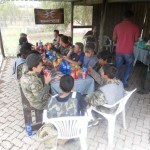 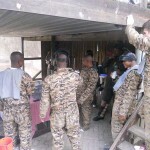 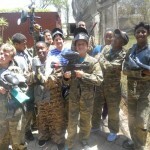 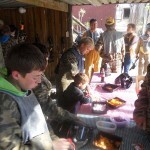 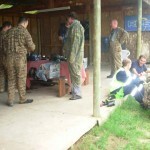 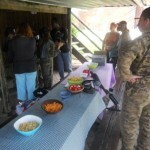 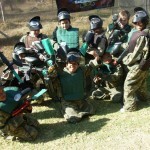 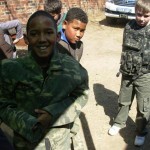 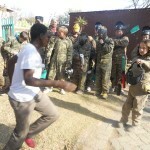 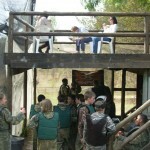 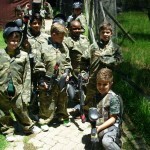 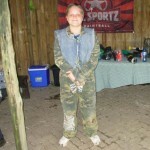 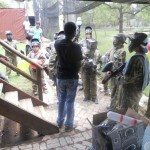 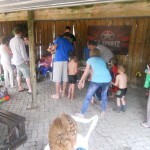 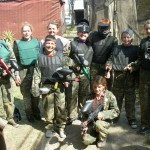 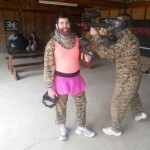 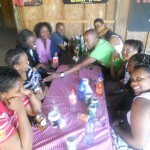 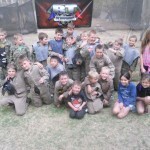 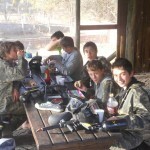 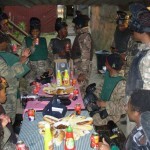 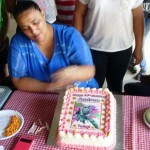 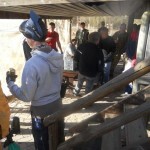 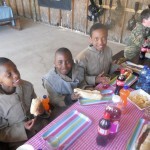 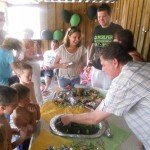 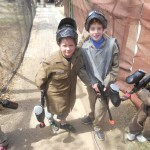 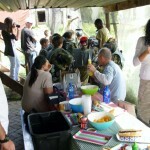 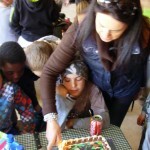 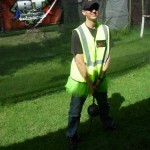 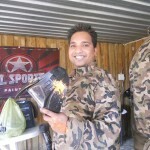 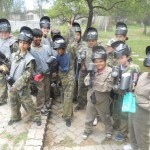 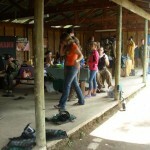 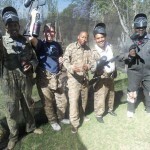 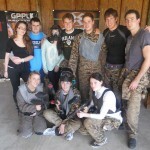 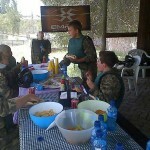 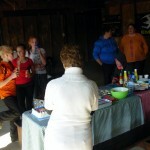 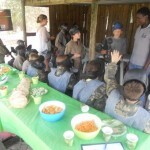 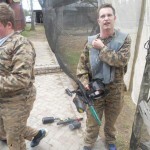 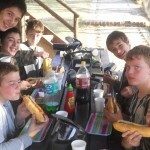 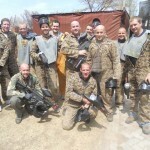 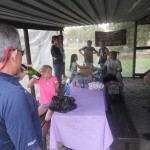 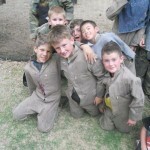 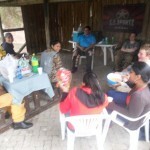 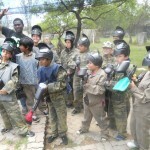 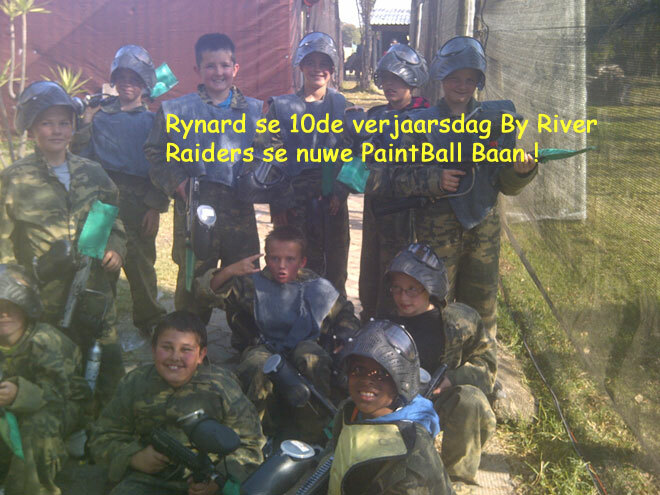 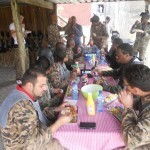 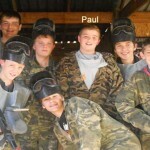 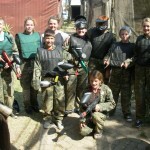 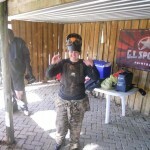 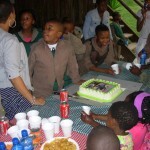 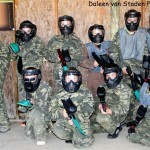 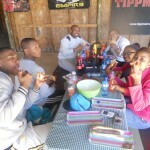 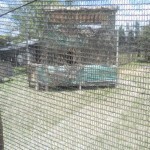 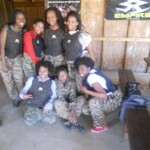 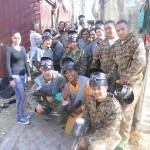 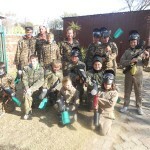 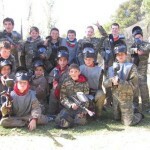 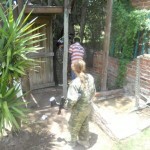 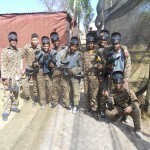 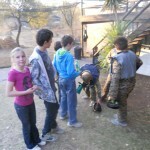 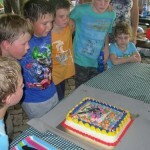 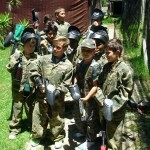 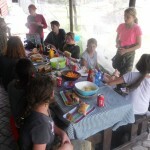 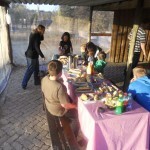 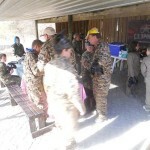 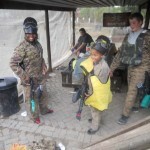 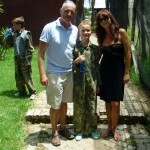 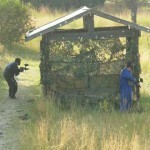 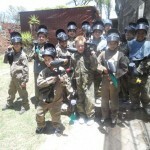 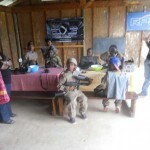 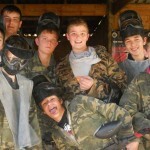 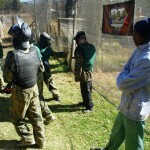 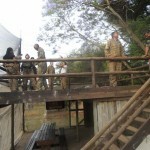 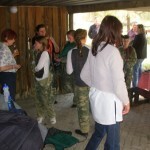 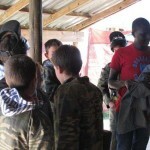 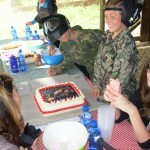 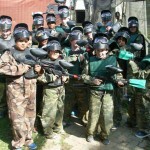 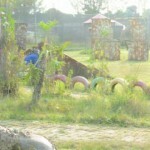 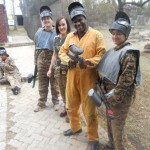 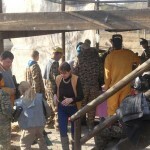 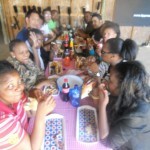 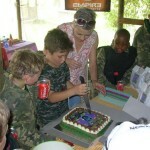 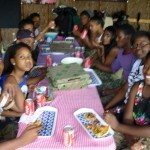 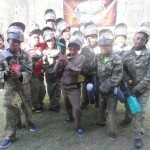 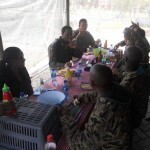 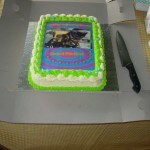 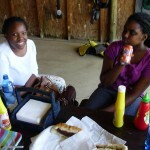 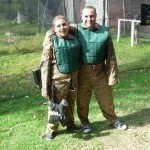 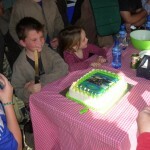 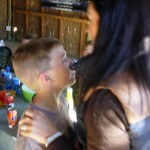 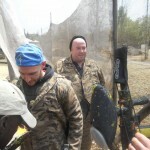 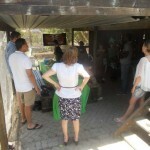 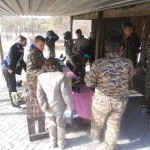 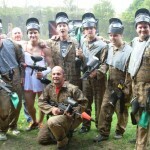 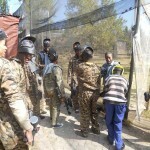 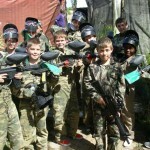 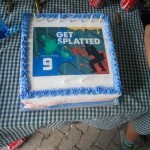 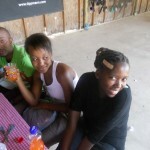 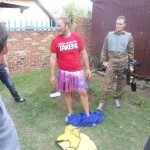 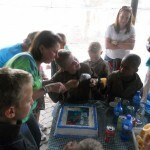 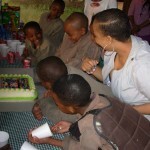 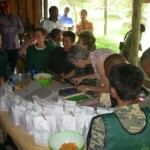 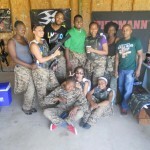 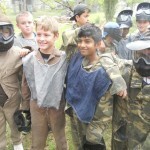 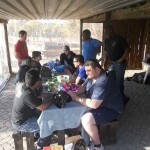 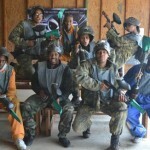 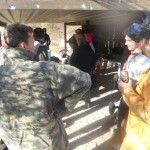 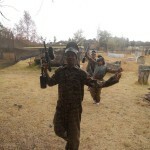 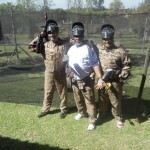 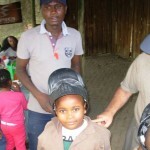 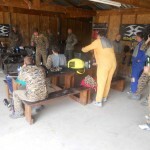 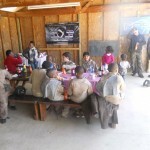 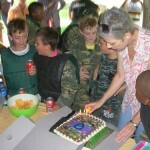 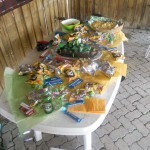 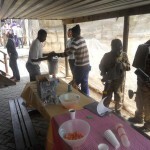 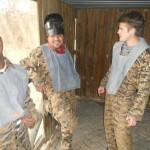 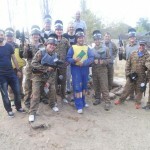 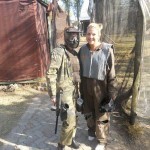 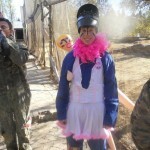 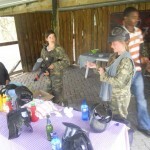 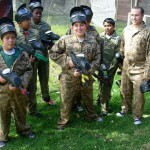 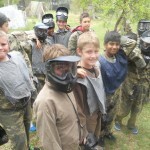 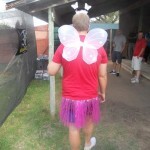 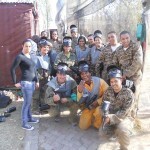 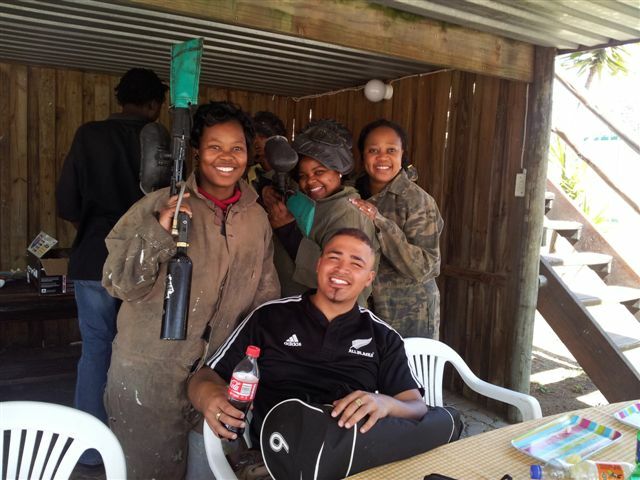 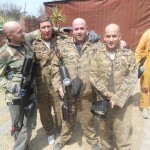 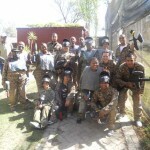 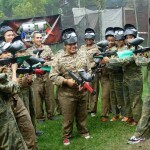 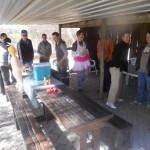 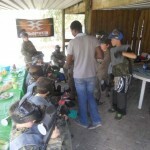 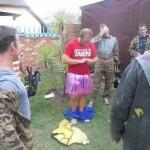 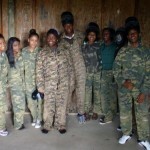 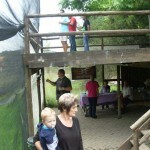 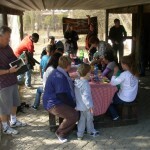 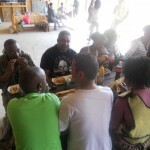 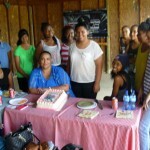 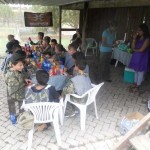 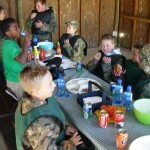 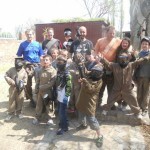 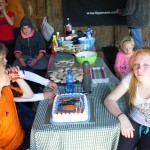 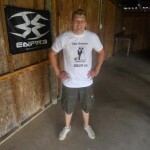 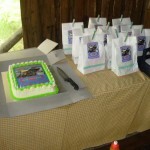 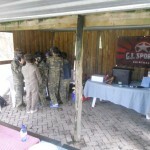 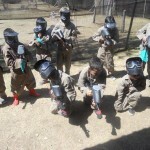 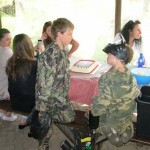 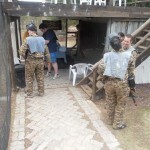 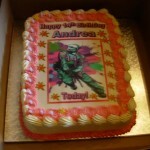 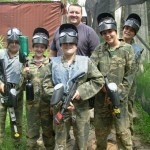 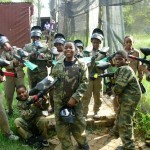 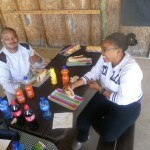 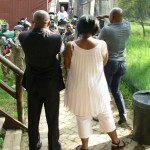 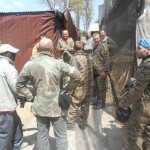 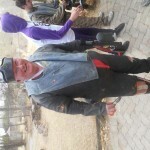 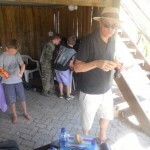 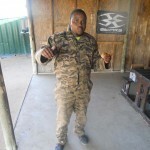 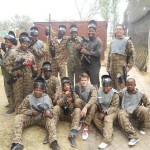 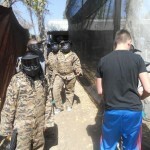 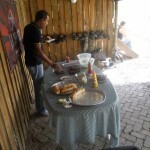 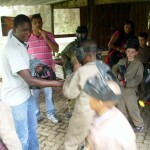 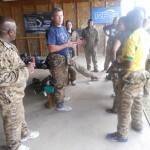 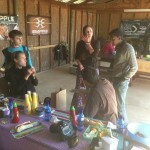 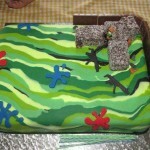 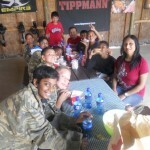 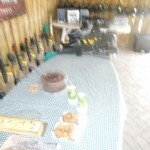 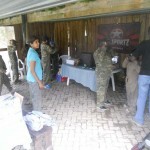 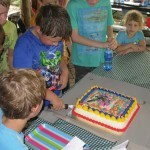 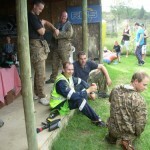 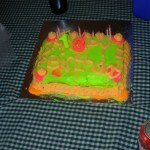 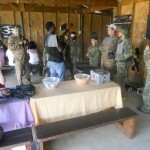 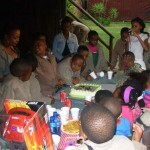 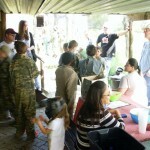 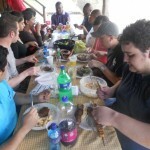 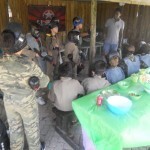 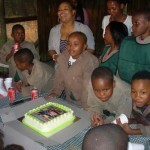 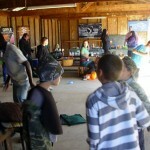 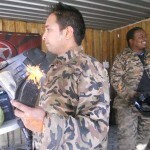 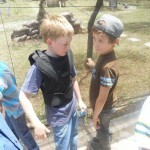 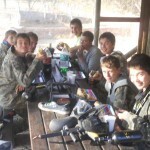 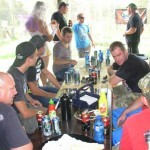 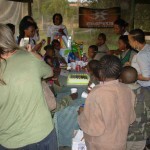 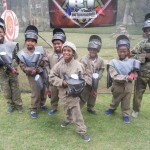 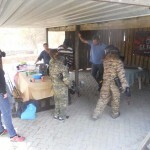 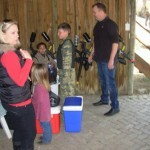 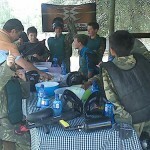 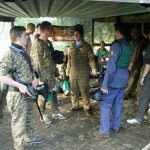 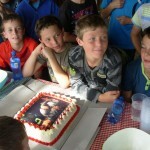 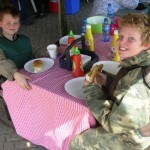 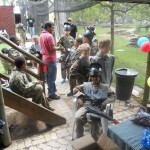 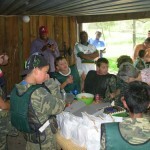 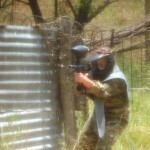 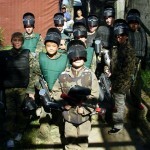 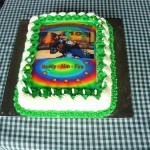 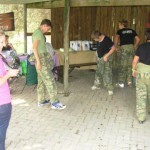 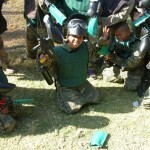 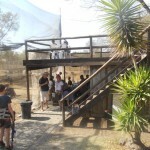 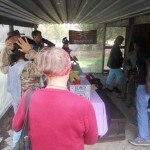 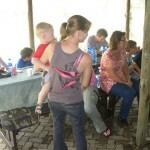 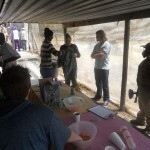 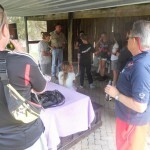 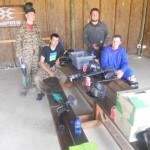 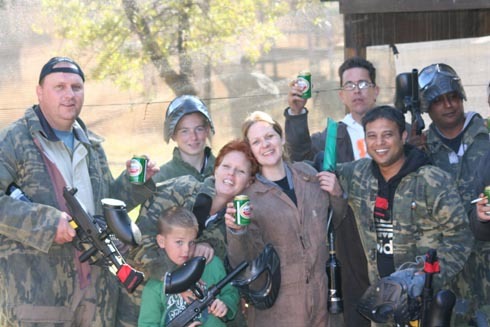 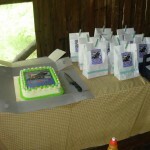 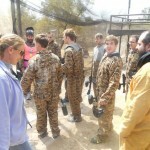 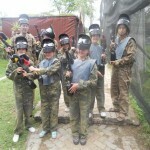 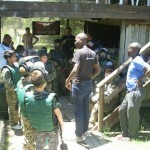 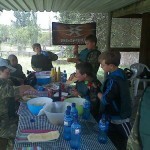 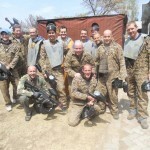 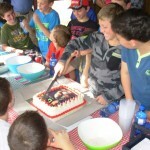 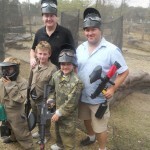 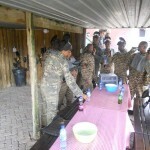 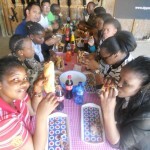 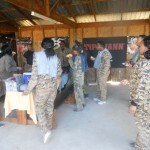 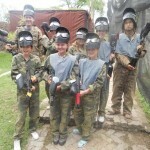 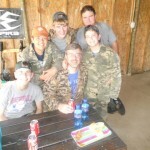 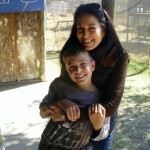 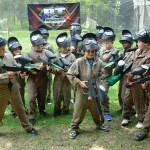 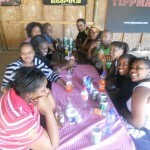 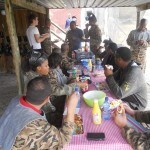 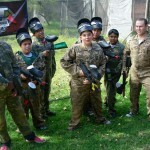 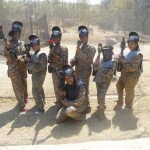 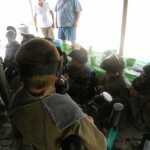 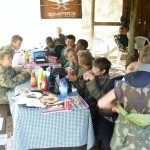 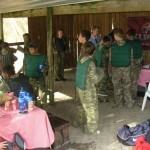 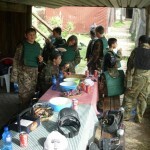 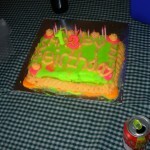 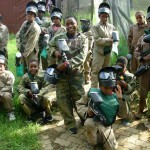 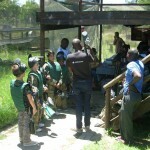 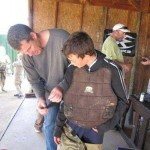 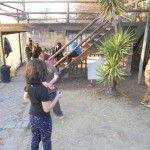 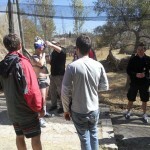 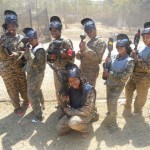 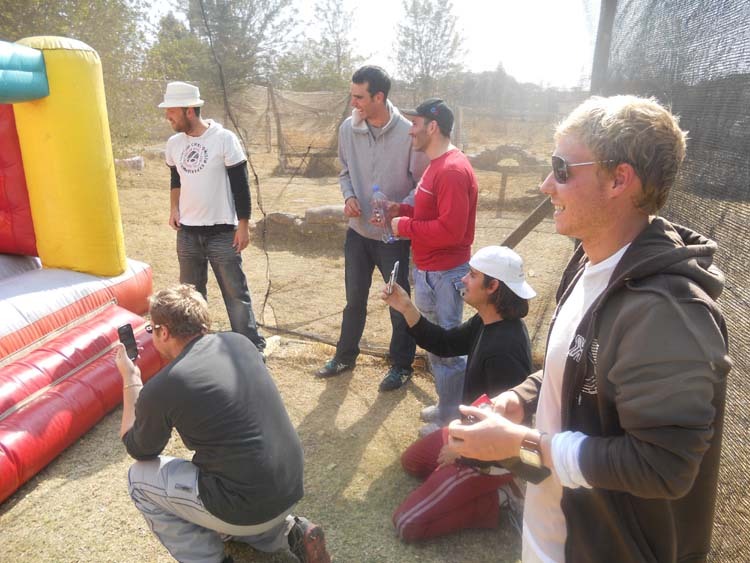 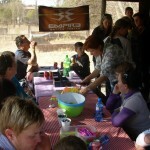 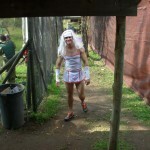 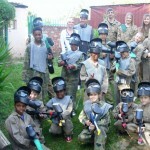 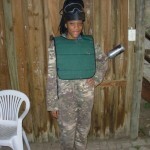 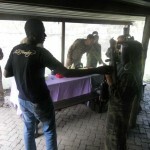 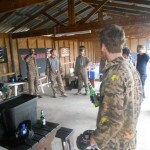 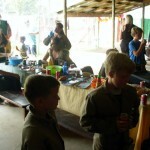 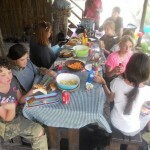 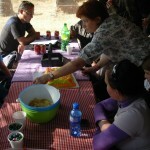 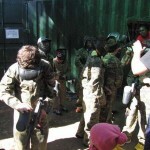 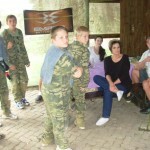 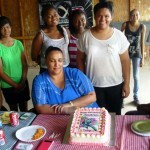 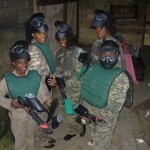 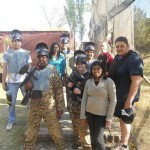 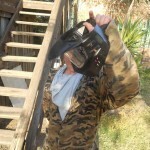 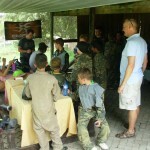 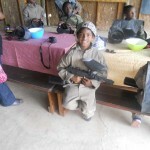 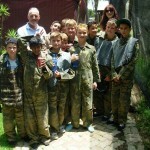 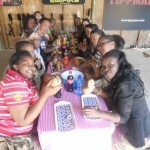 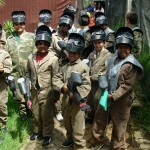 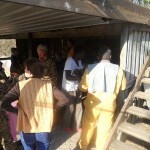 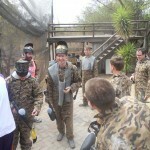 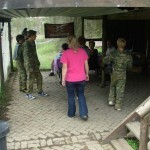 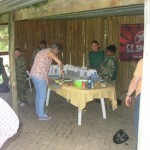 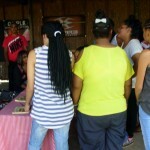 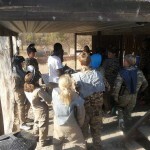 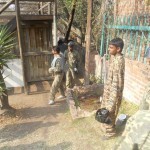 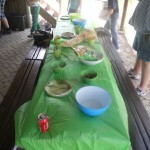 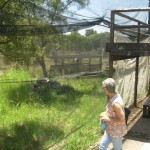 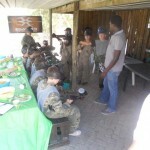 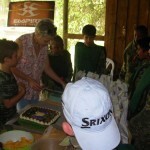 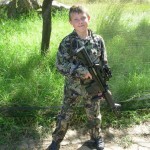 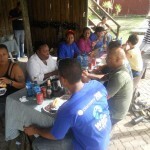 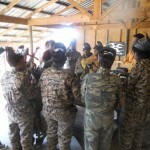 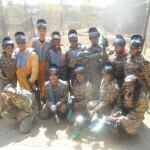 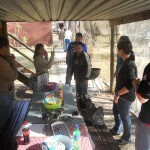 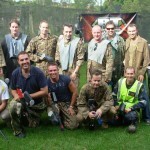 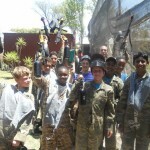 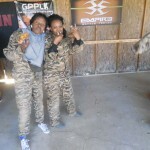 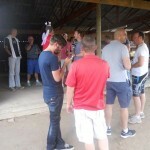 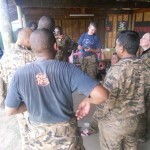 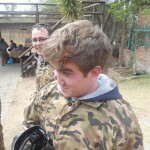 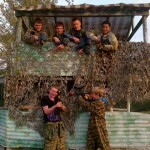 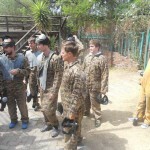 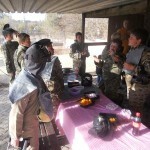 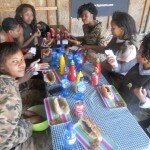 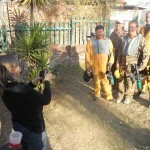 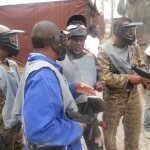 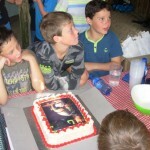 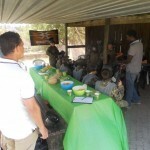 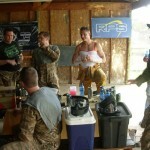 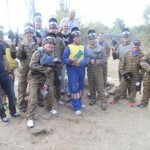 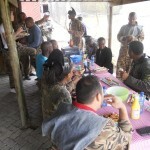 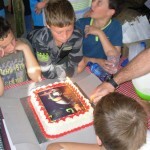 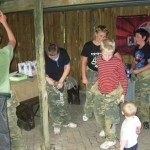 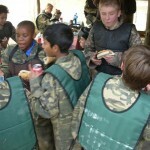 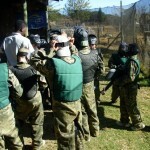 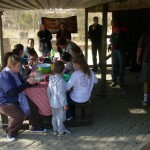 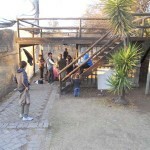 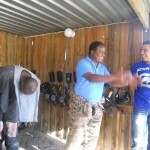 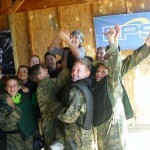 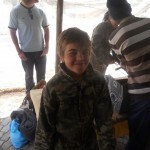 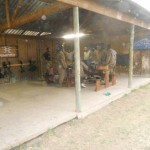 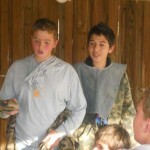 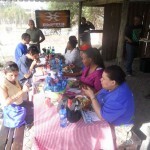 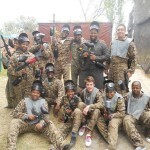 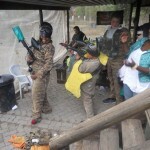 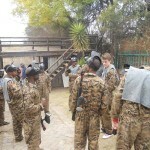 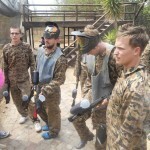 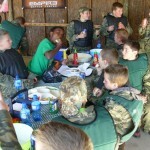 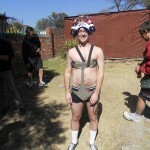 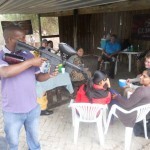 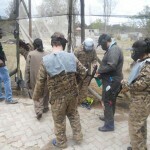 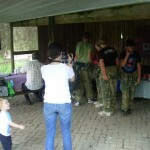 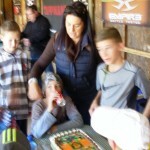 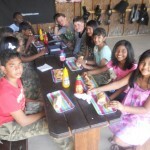 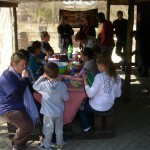 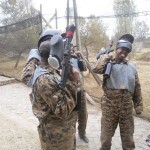 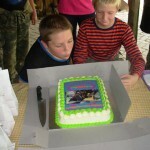 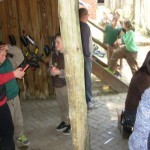 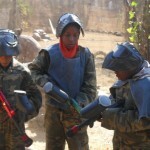 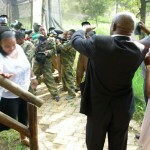 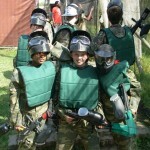 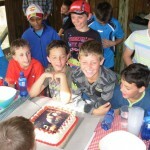 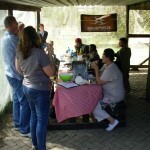 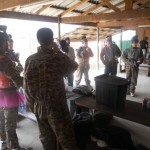 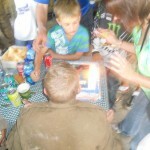 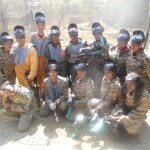 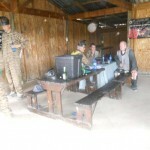 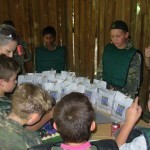 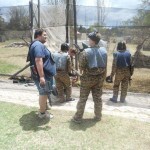 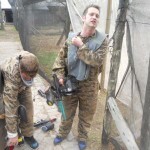 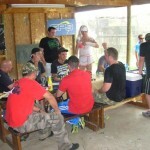 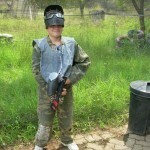 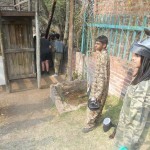 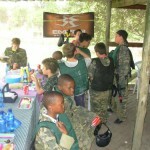 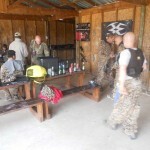 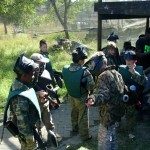 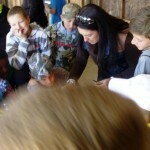 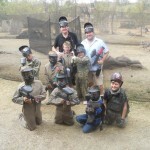 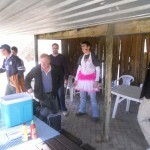 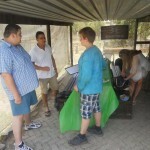 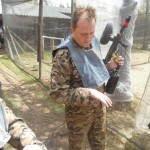 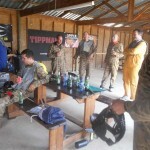 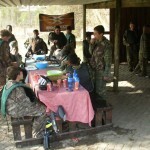 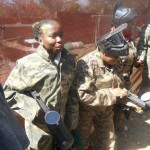 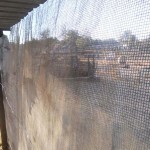 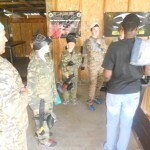 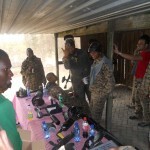 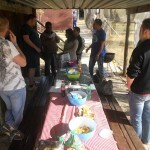 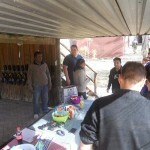 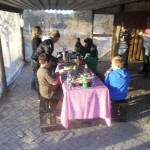 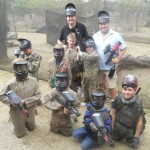 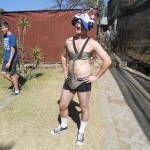 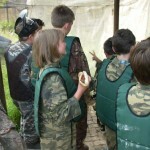 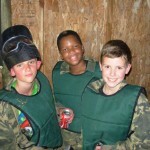 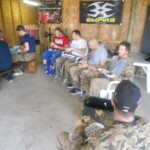 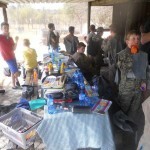 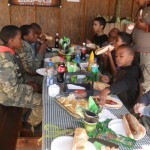 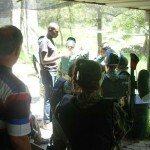 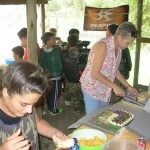 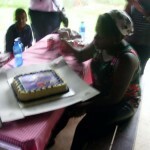 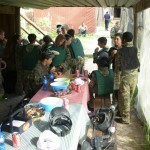 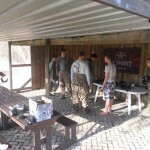 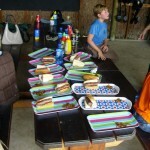 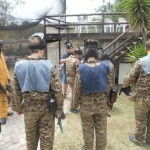 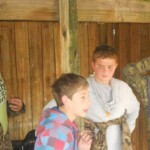 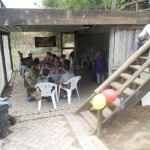 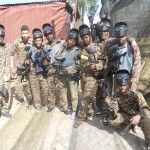 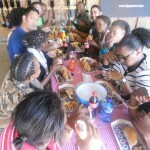 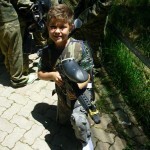 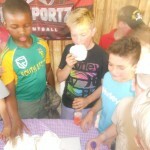 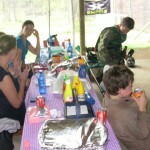 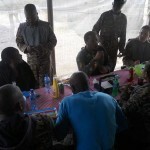 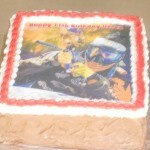 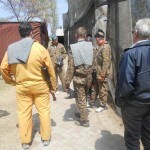 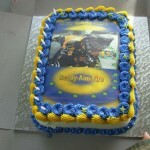 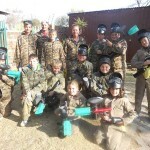 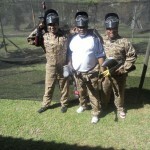 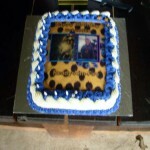 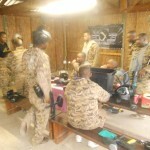 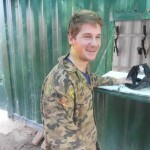 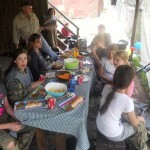 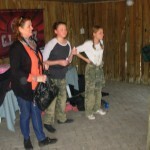 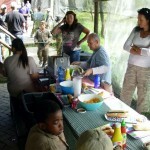 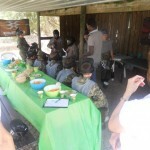 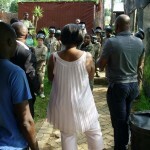 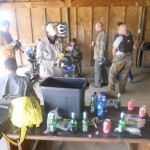 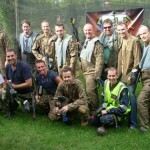 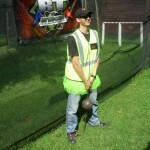 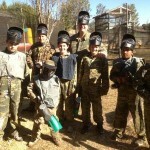 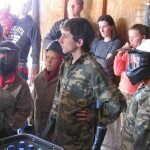 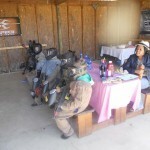 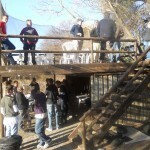 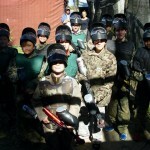 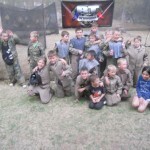 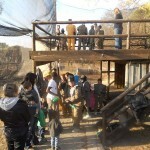 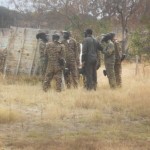 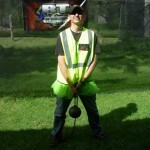 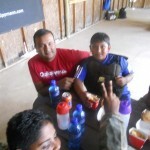 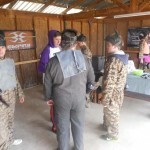 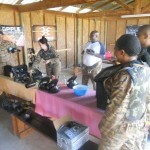 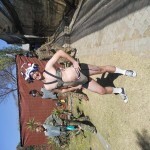 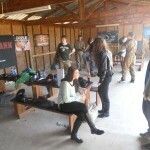 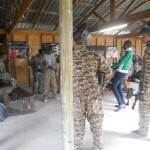 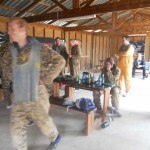 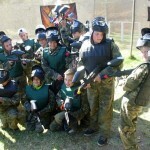 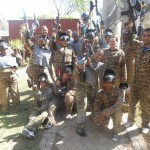 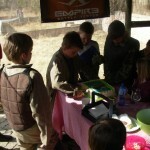 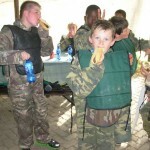 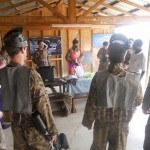 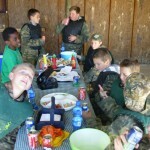 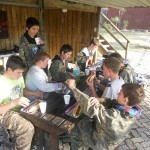 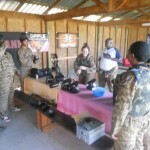 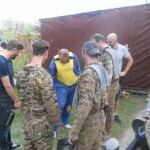 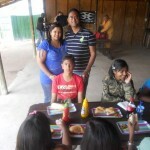 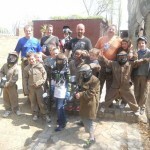 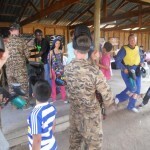 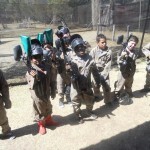 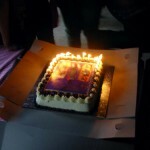 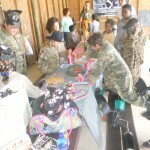 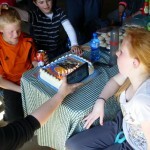 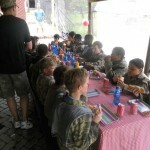 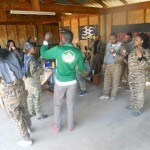 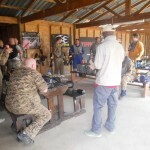 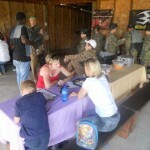 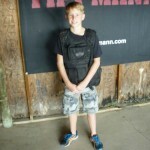 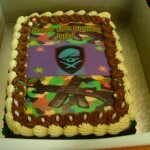 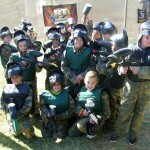 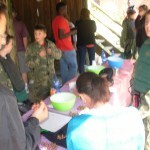 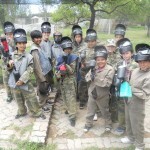 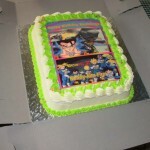 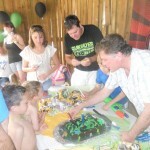 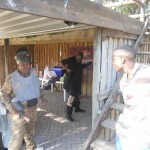 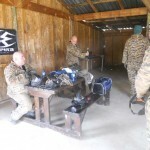 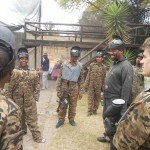 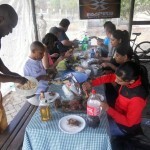 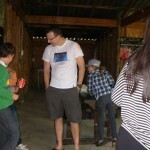 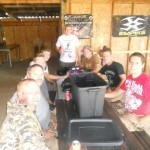 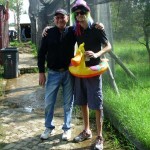 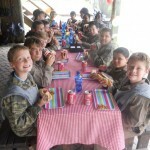 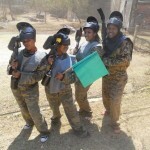 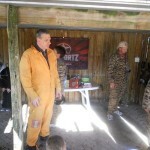 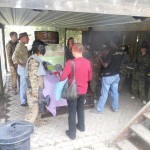 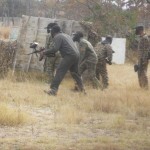 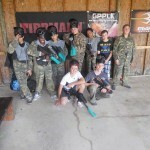 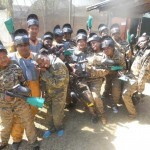 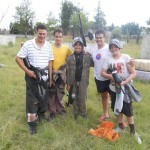 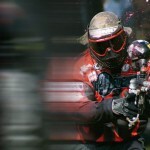 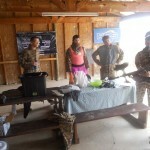 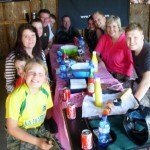 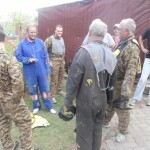 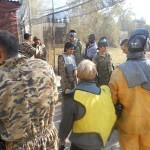 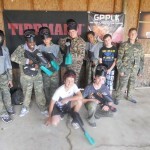 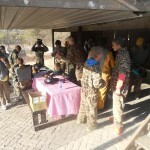 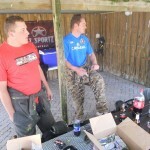 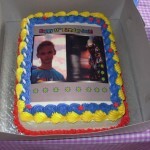 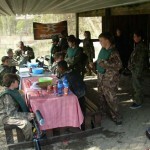 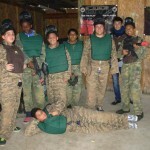 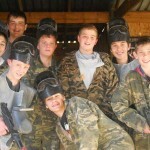 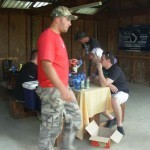 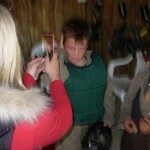 See more Gallery Pics here what ever the Party Event or Team build we have you catered for at River Raiders PaintBall! 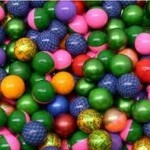 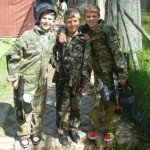 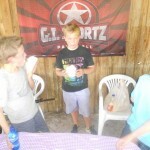 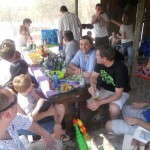 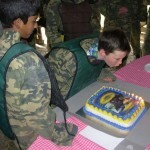 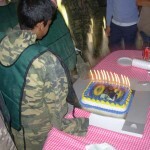 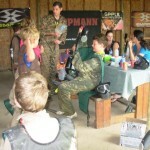 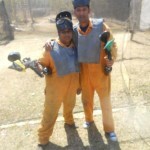 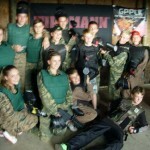 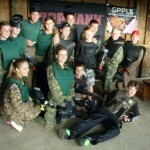 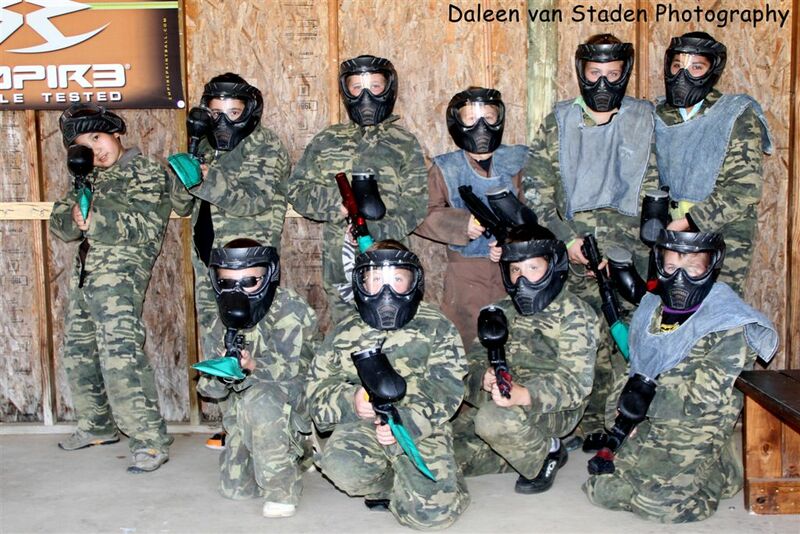 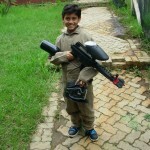 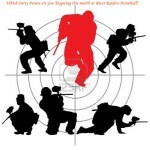 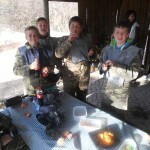 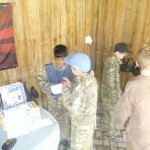 Having a Party need the Latest Paintball Gun as a Birthday Present? 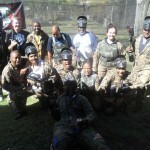 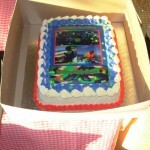 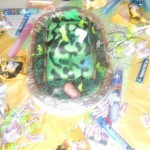 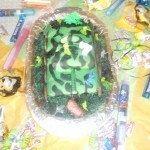 Book my Birthday Party today or even any company Team Building or Motivation Party do it at River Raiders. 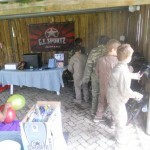 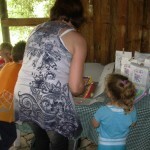 in action and latest gallery shots here last Saturday the 2nd of June 2012. 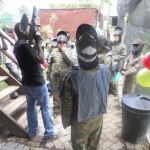 So hurry Book Today! 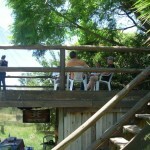 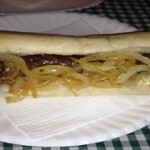 Be Wise order your Combo Specials to today see latest Combo Pricelist River Raider Specials here.